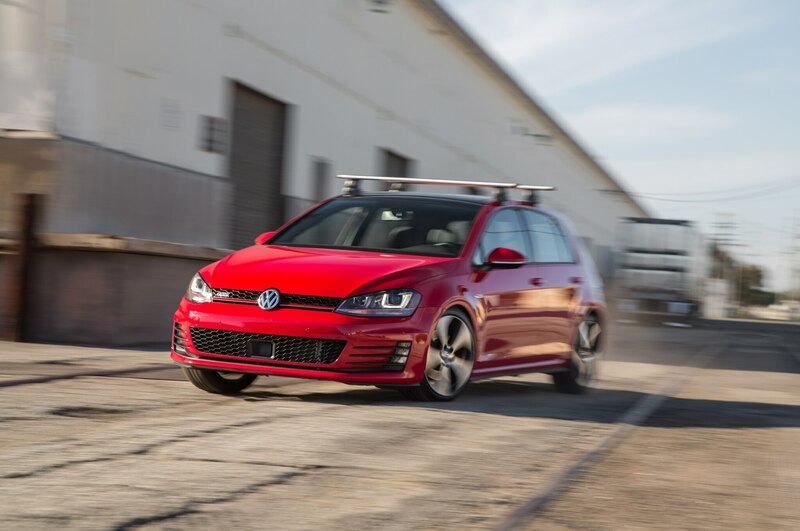 The newest version of Volkswagen’s Golf GTI feels so instantly familiar that we wondered whether we needed to drive it at all. 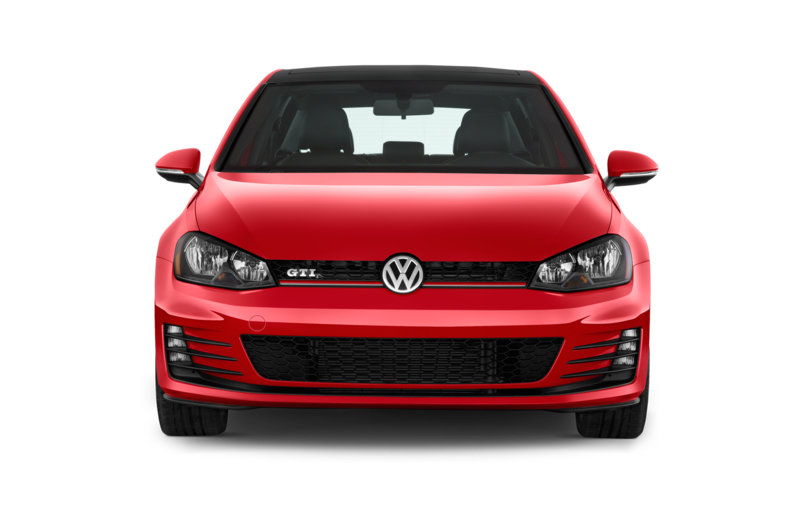 It brings back happy memories of the GTIs that won Automobile of the Year nods in 2007 and 2010, and a place on AUTOMOBILE All-Star lists in 1986, 2008, 2009, 2011, 2012 and 2013. 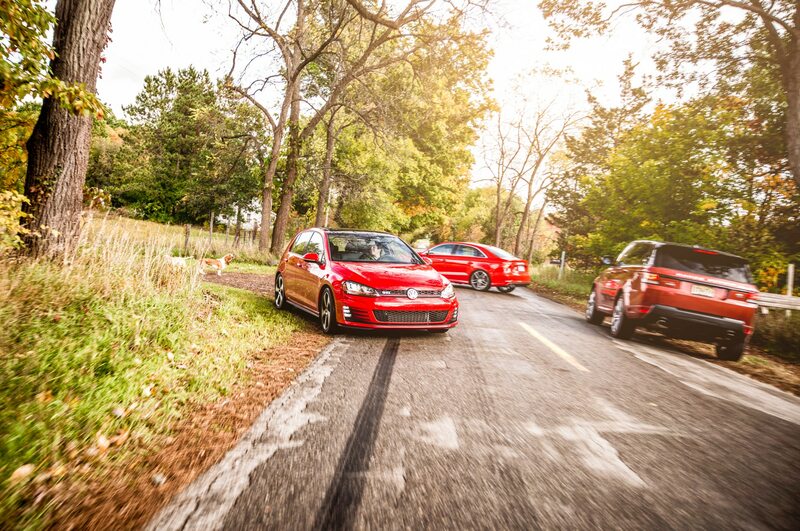 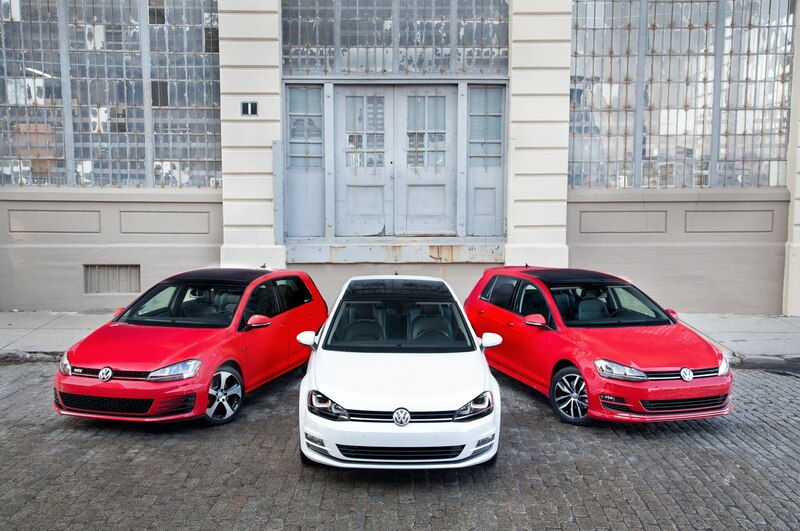 Clearly, we like the GTI. 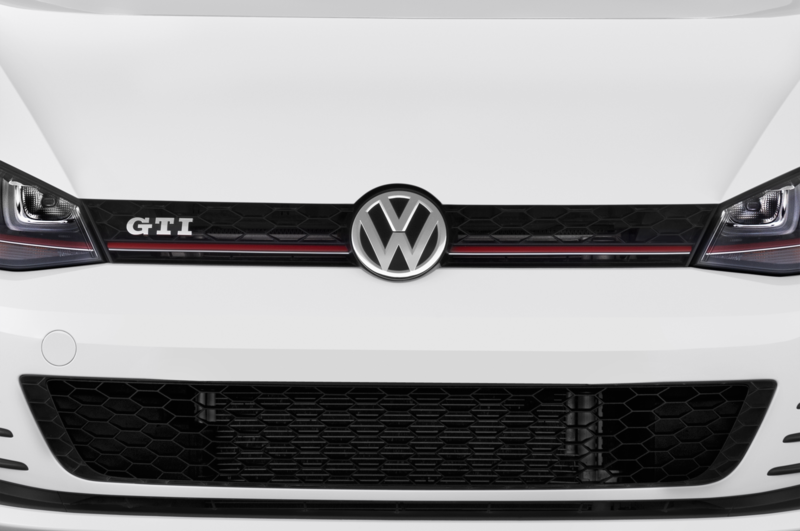 Is the new one different enough that we should consider it for our trophy again? 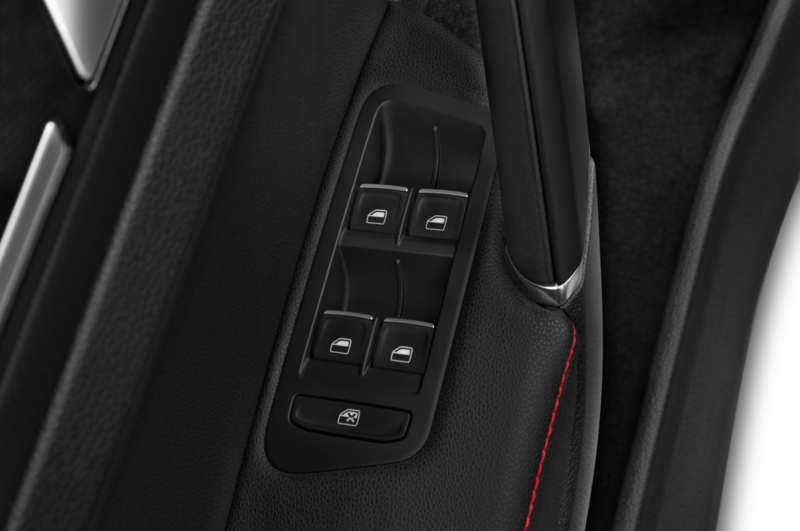 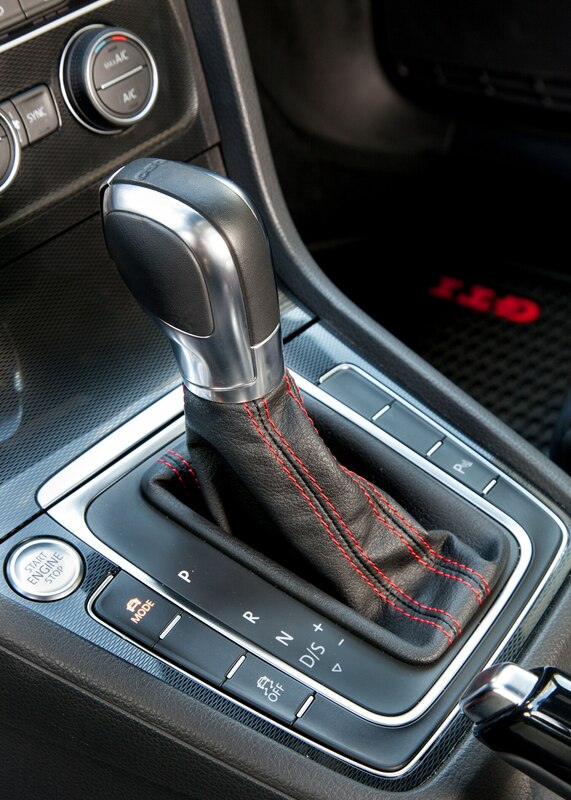 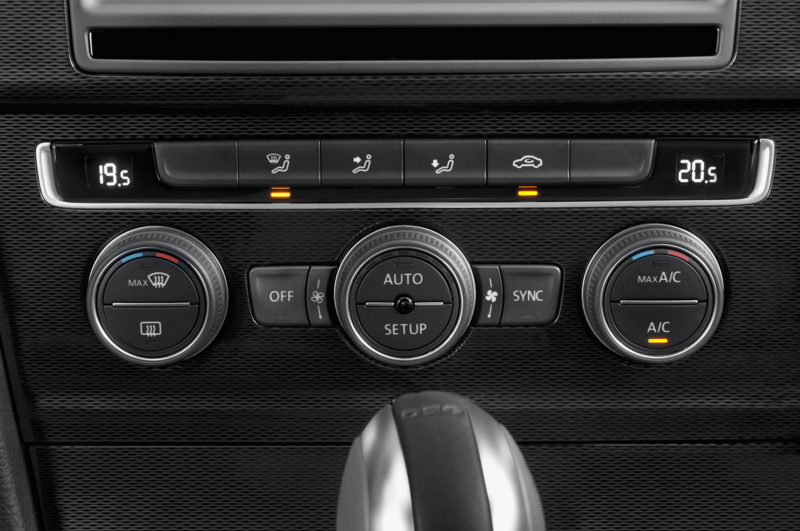 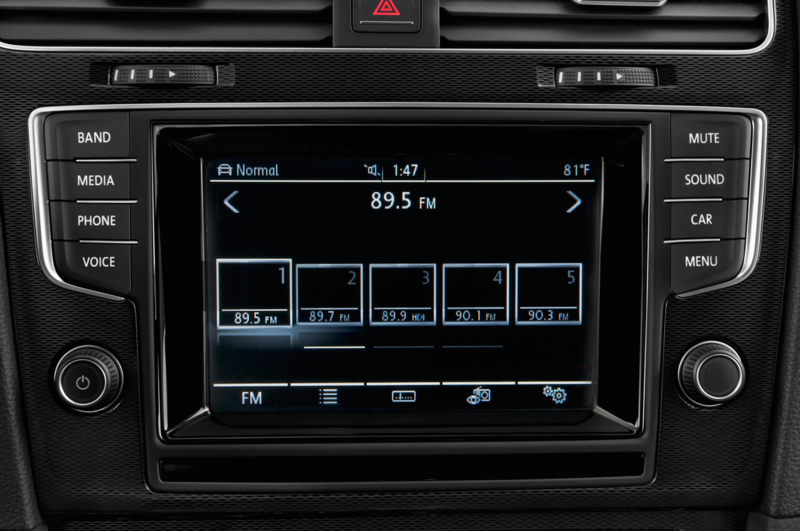 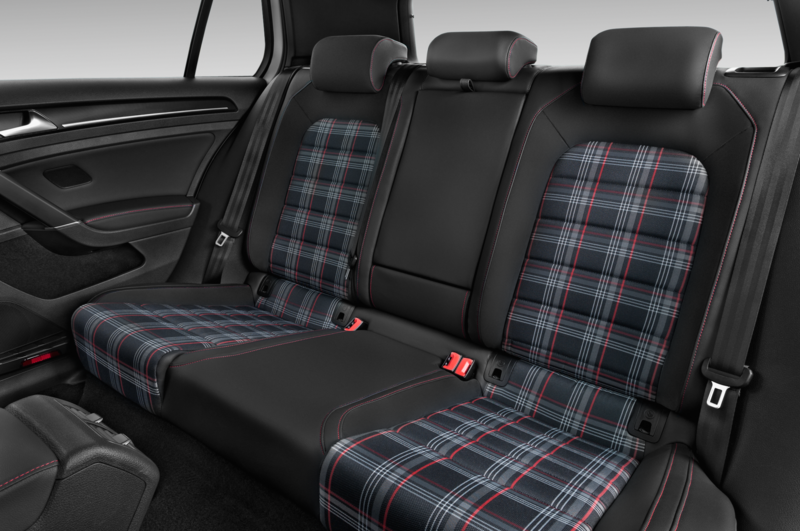 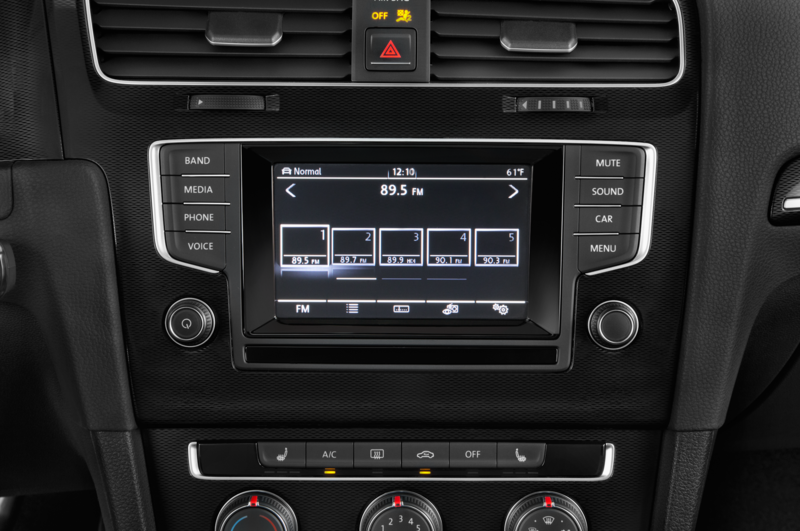 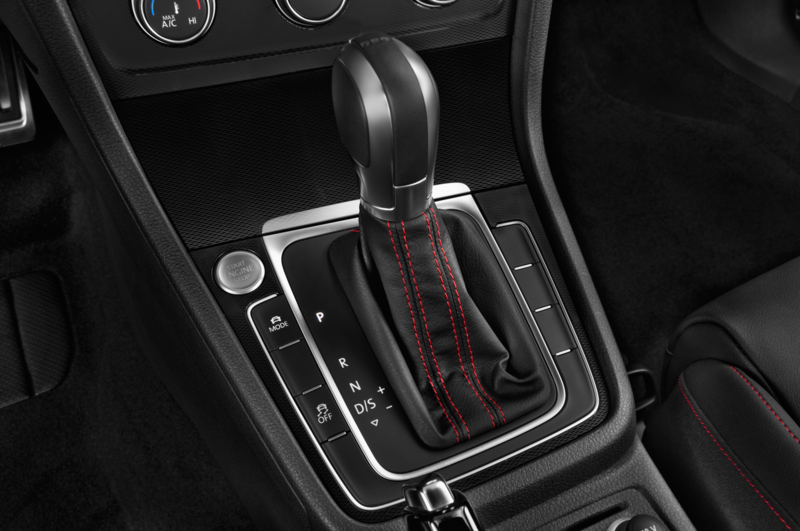 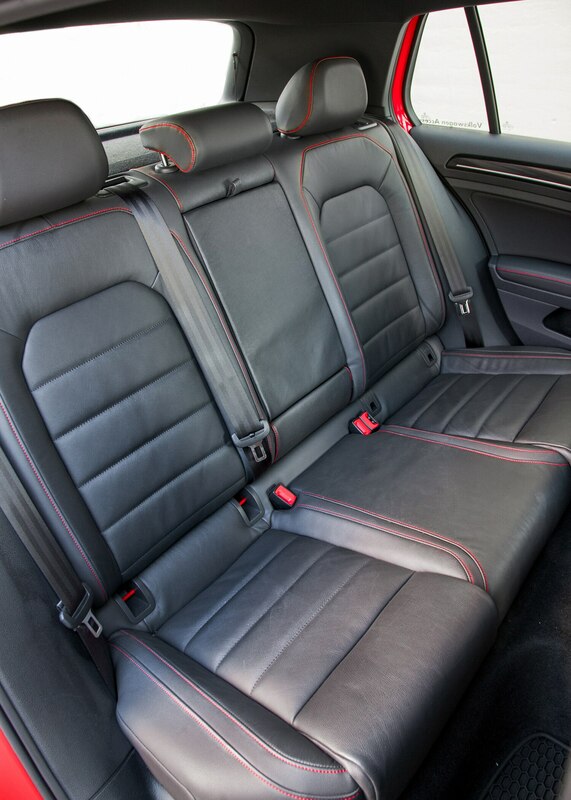 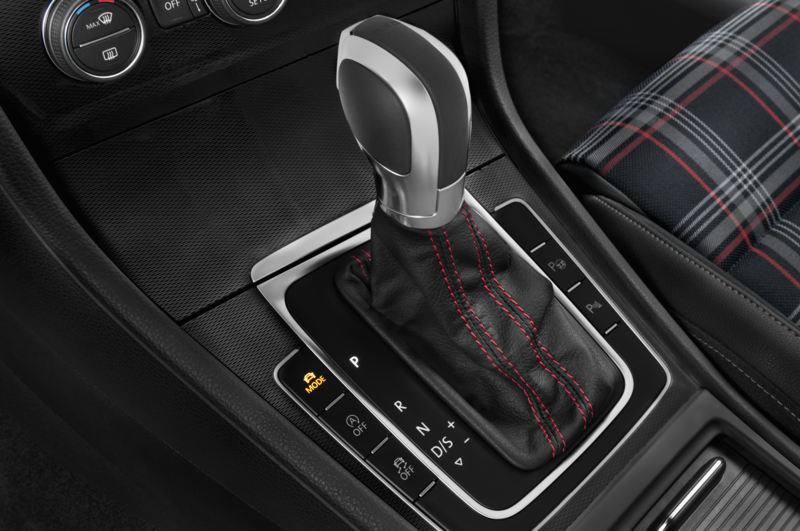 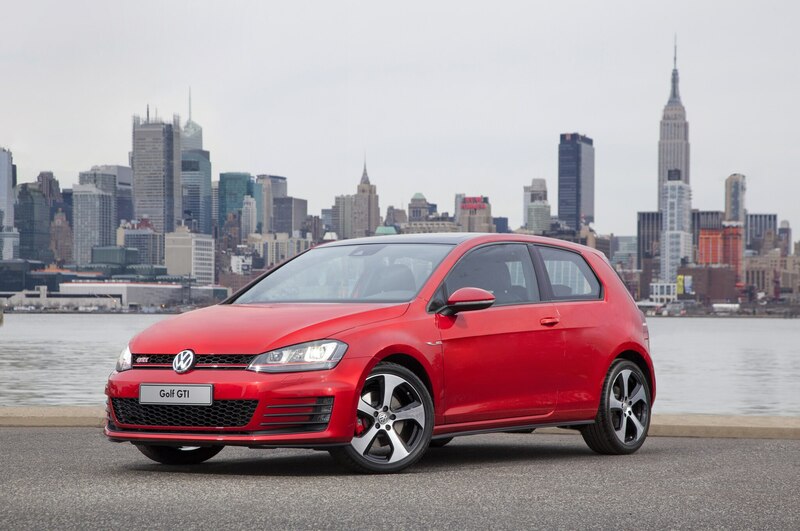 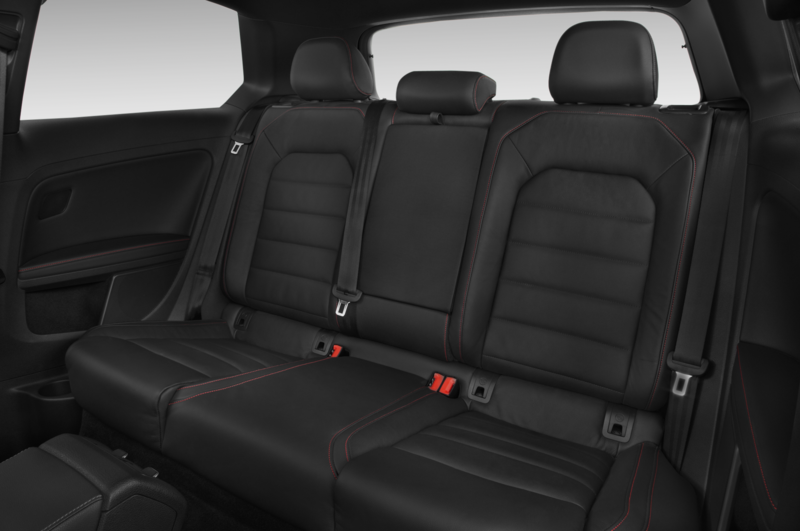 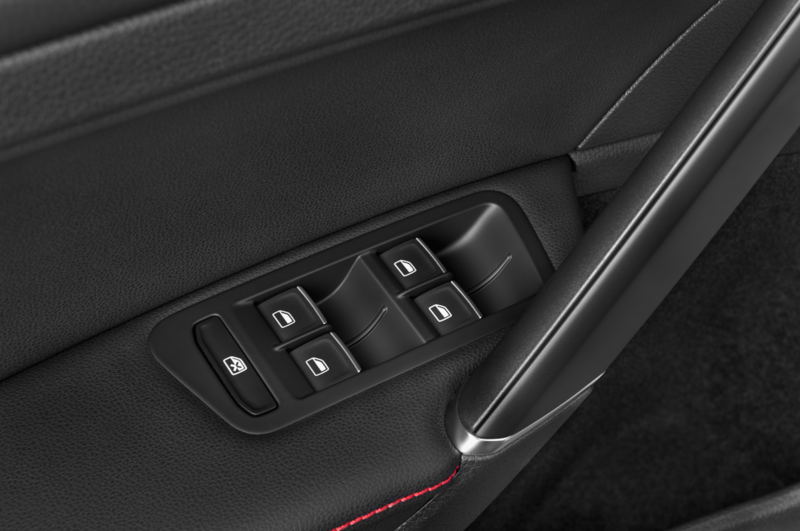 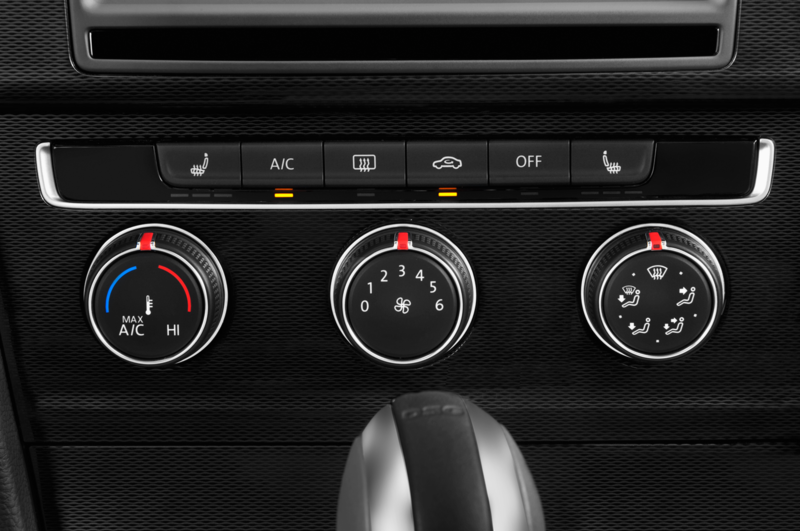 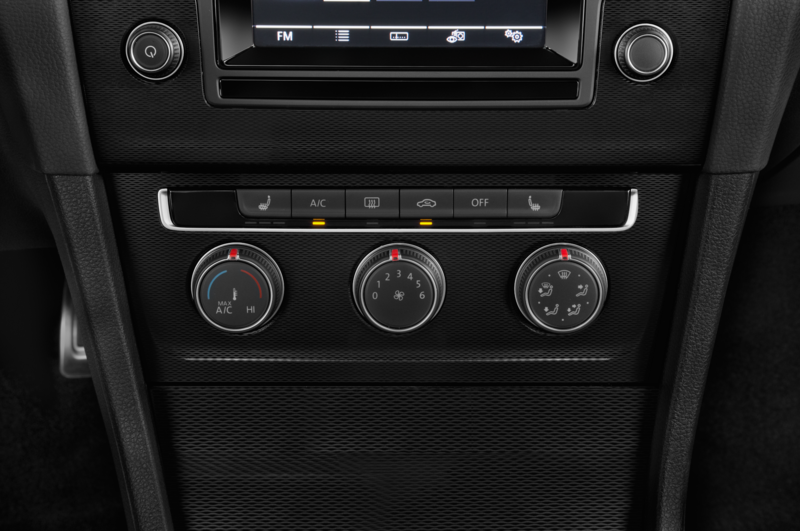 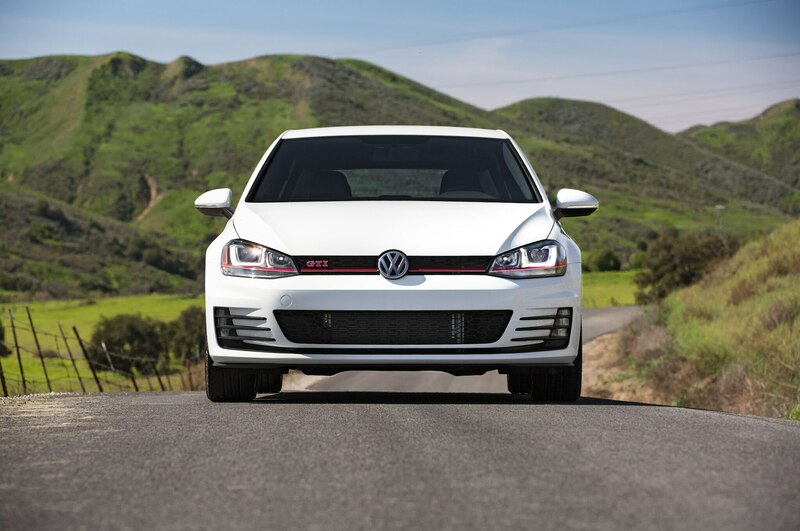 Rather than a revolution, the 2015 Volkswagen Golf GTI benefits from minor tweaks that improve it in important ways. 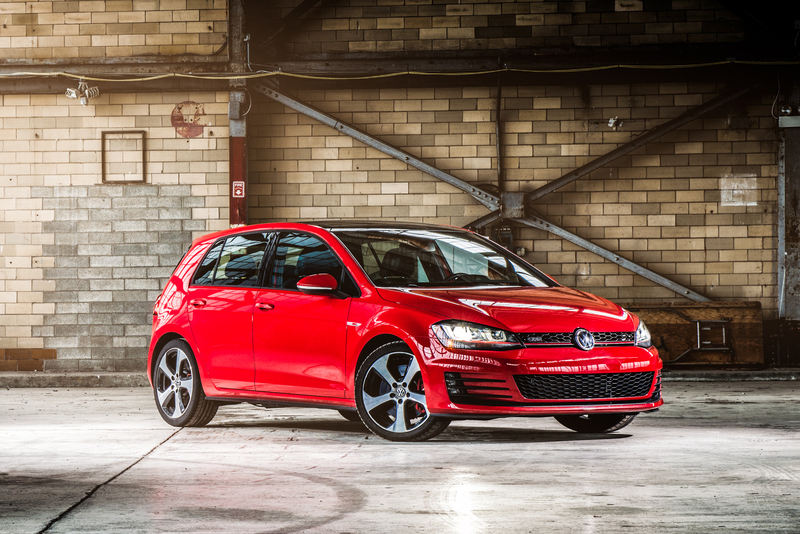 A new platform helps the hot hatchback drop as much as 82 pounds compared to last year’s car, the 2.0-liter engine is stronger by 10 hp and 51 lb-ft, the cabin is roomier, and more equipment is included as standard. 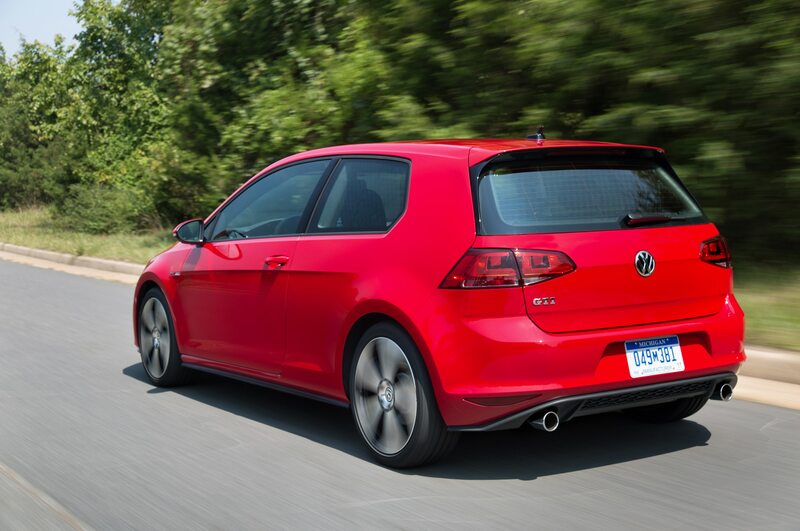 Seventh time’s the charm: Volkswagen once again proves fun cars needn’t sacrifice quality or comfort. 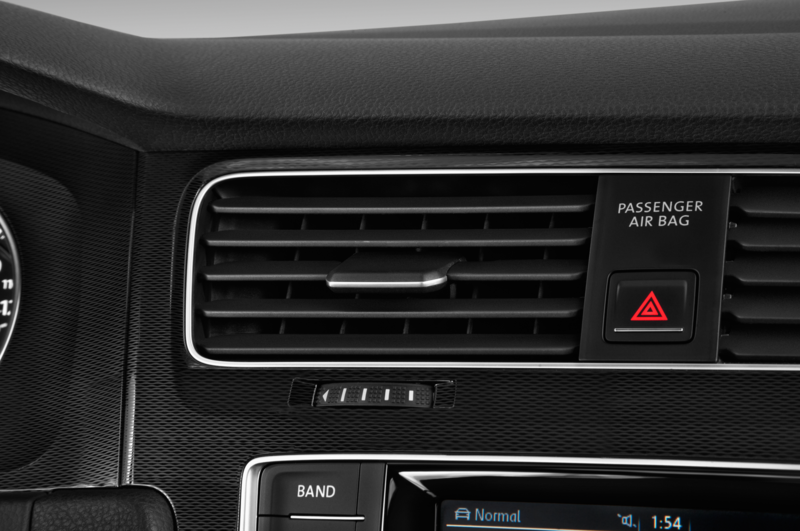 Thankfully, none of those updates has affected the car’s basic virtues. 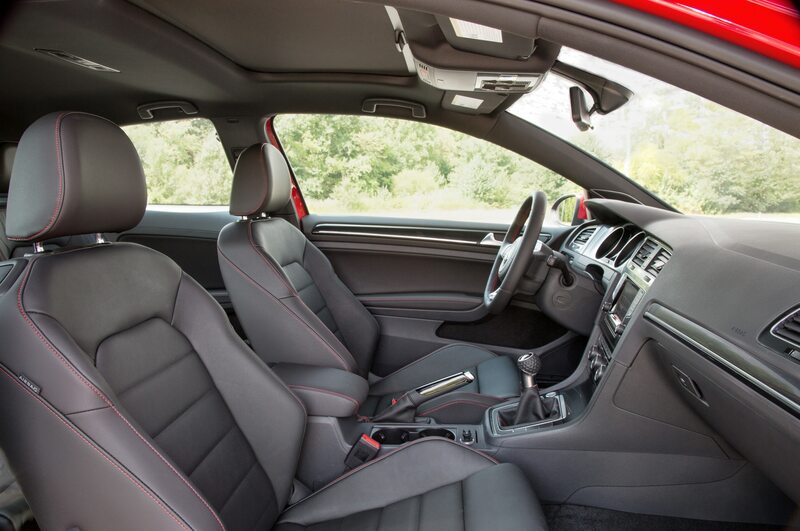 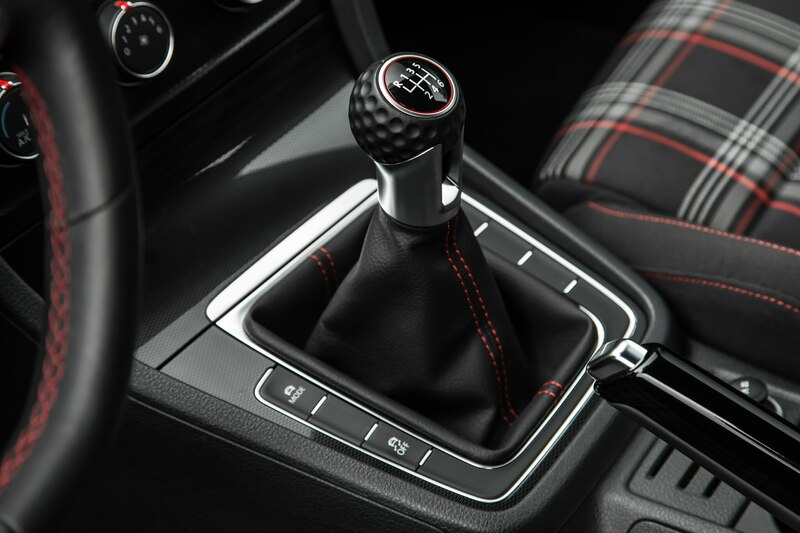 It remains exceptionally stylish and well-built for its price — to the point that some of us thought the GTI’s interior design and materials put to shame the $48,000 Audi S3 we also had on hand. 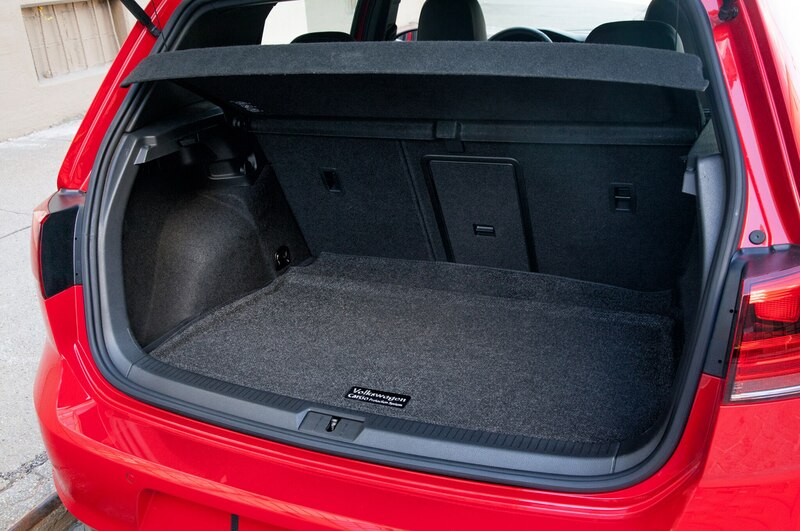 The cabin comfortably seats four adults, and the roomy hatch accommodates dogs, bikes, or other bulky cargo. 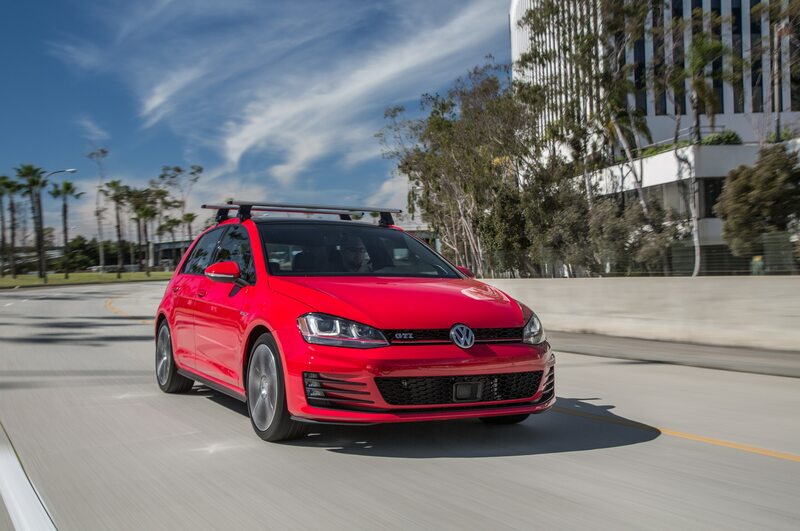 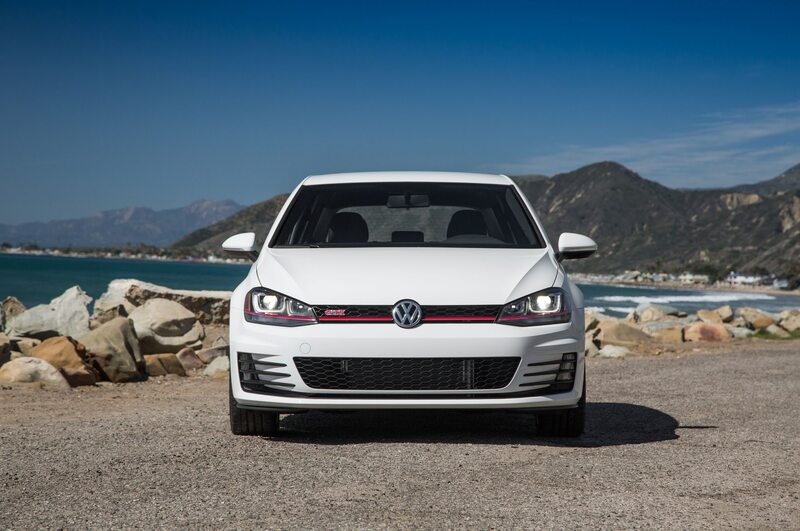 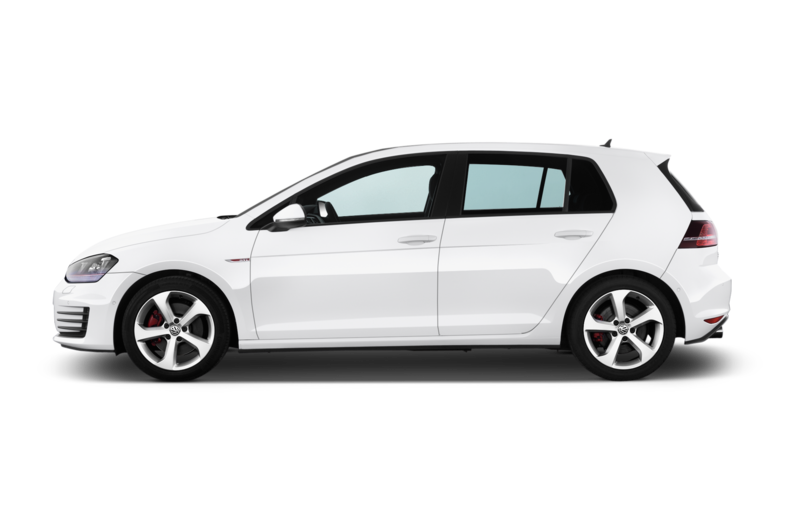 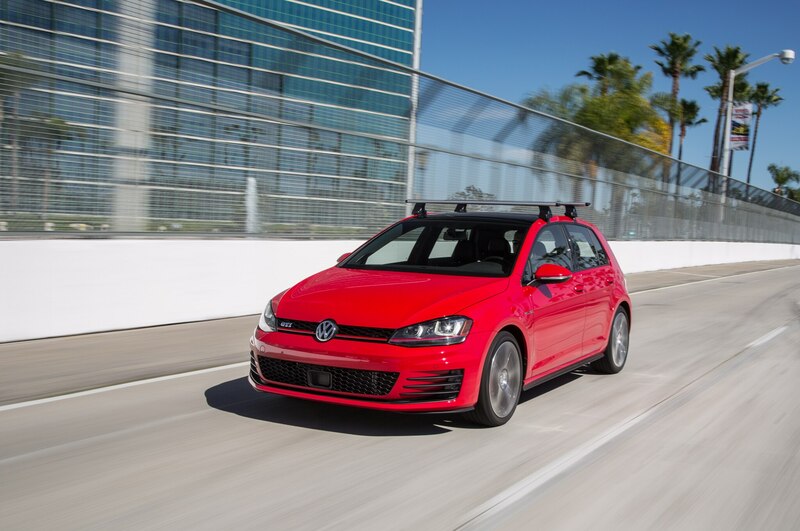 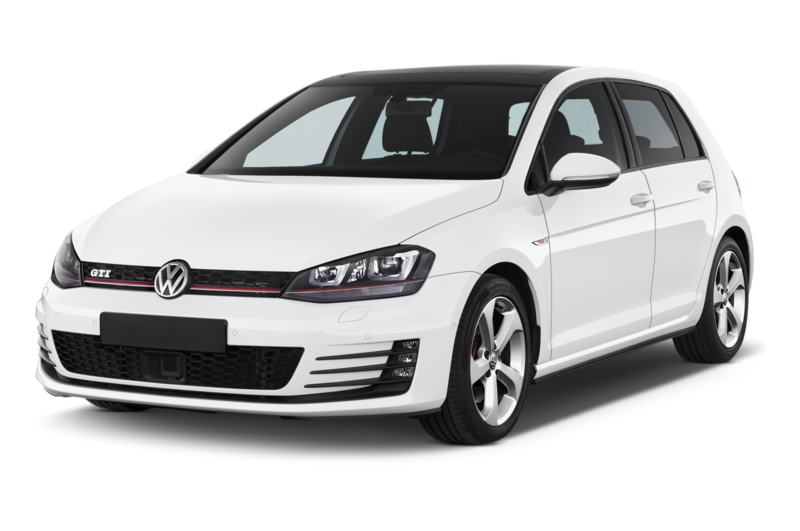 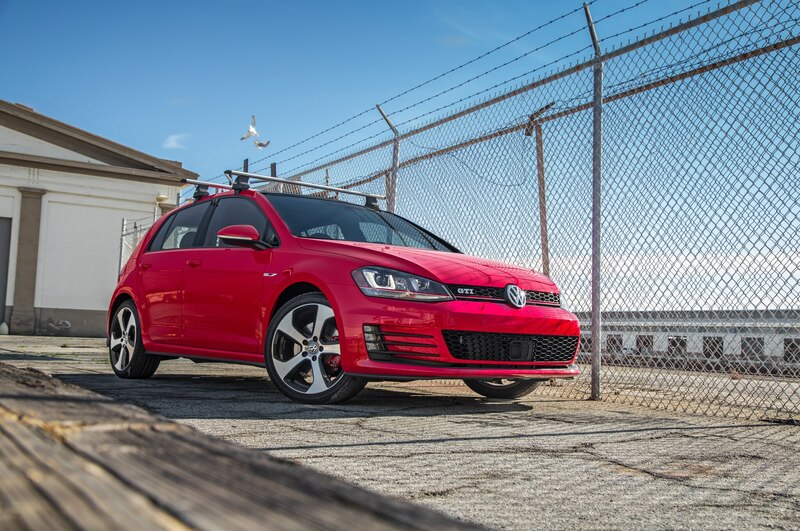 While it is stiffly sprung, the 2015 Volkswagen Golf GTI does such a commendable job of filtering out road imperfections that we wouldn’t hesitate to take it on a daylong trip. 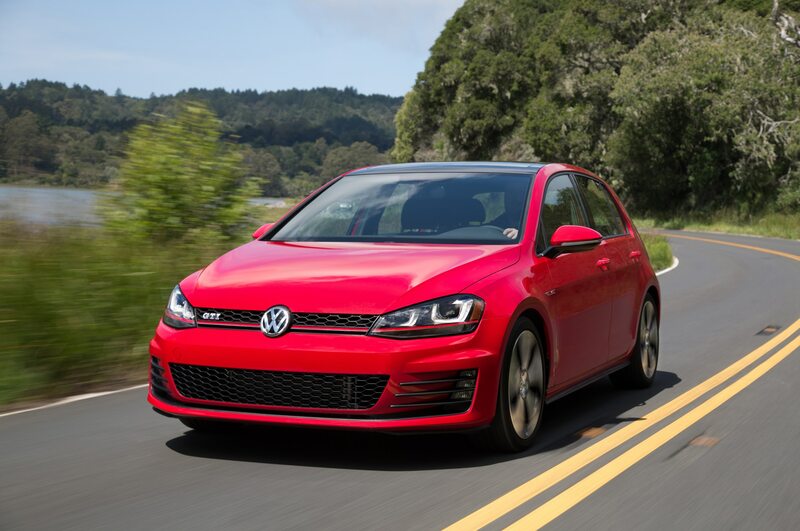 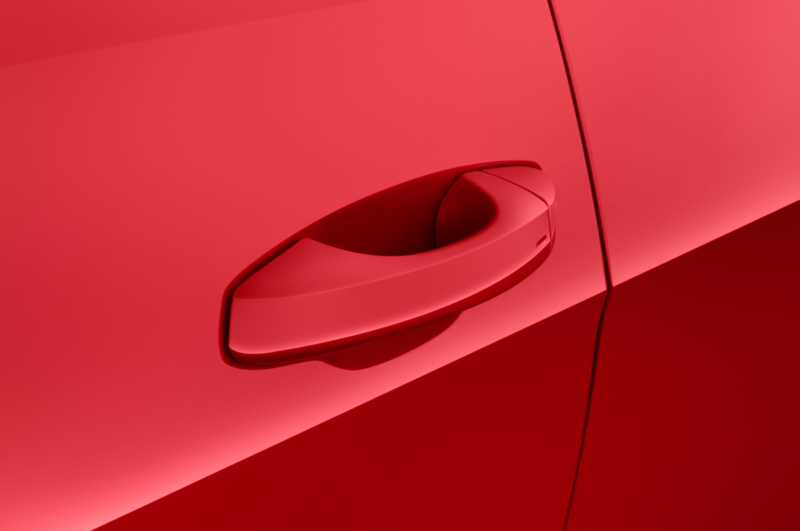 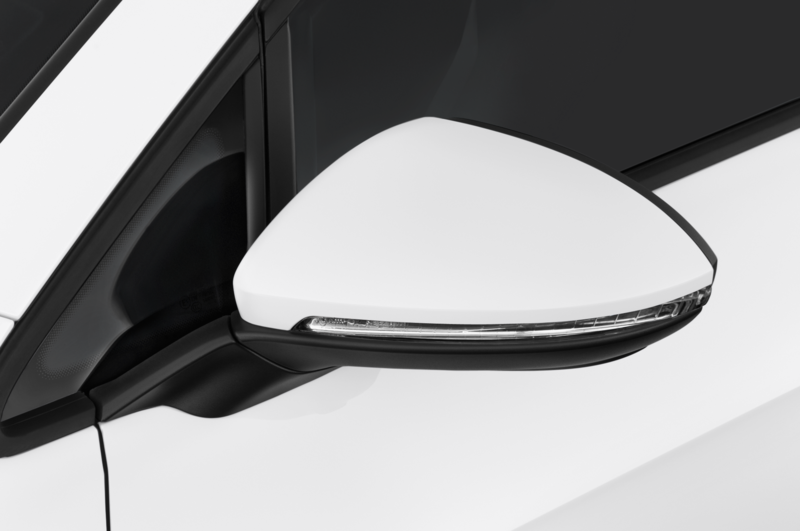 The boxy proportions won’t earn it a place in any art galleries, but the new car’s tauter shapes and more precise lines are welcome improvements to the clean, conservative design. 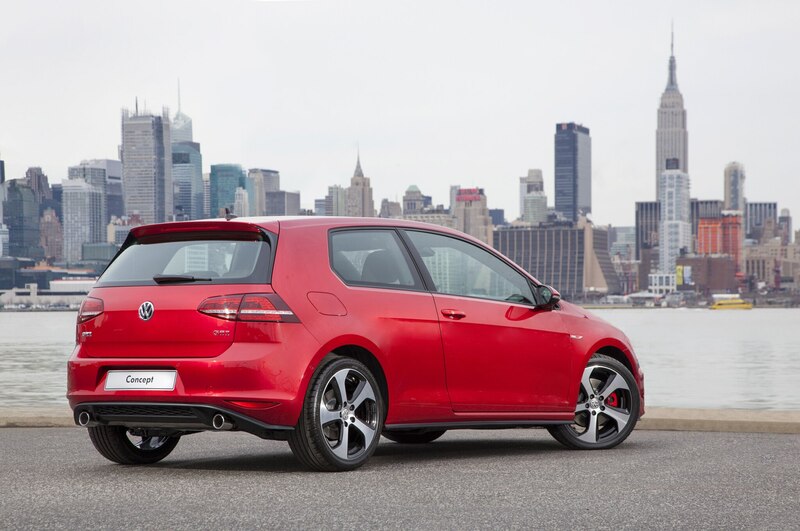 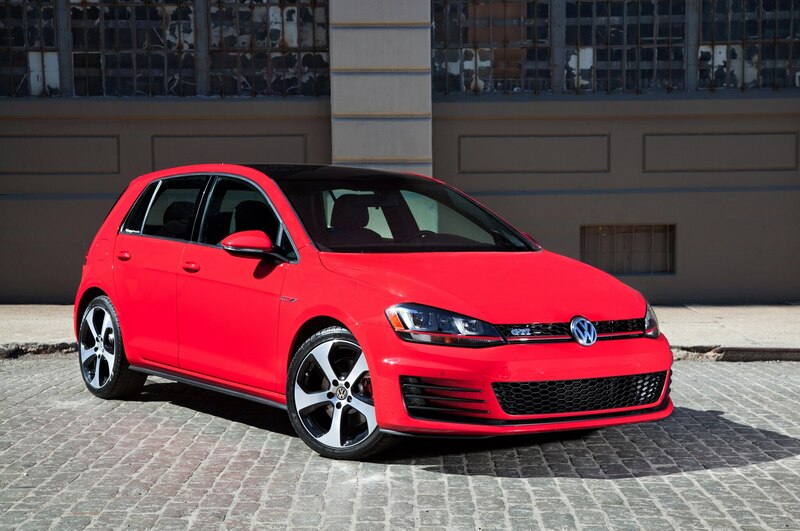 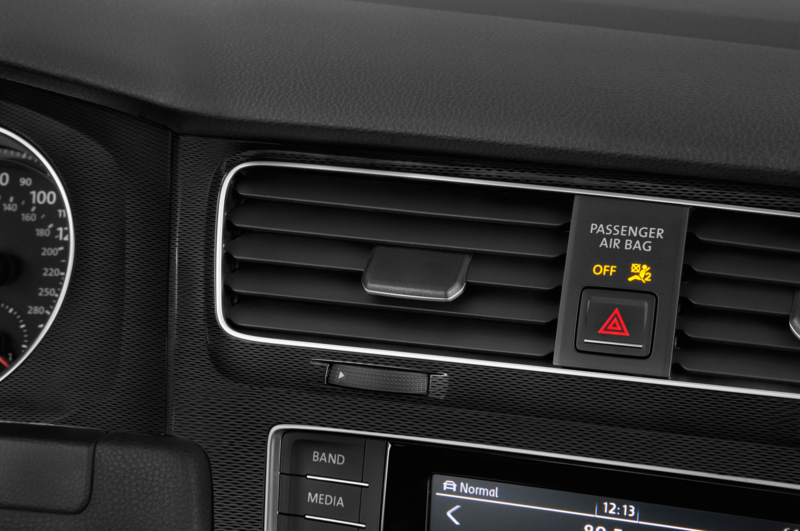 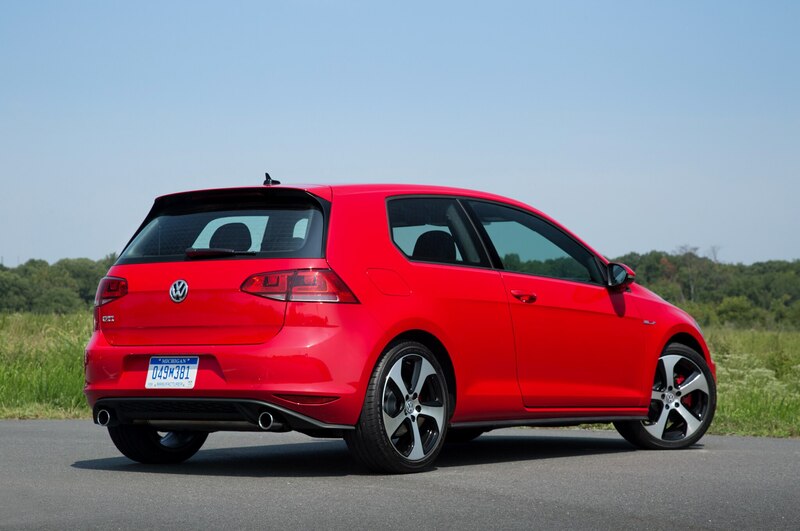 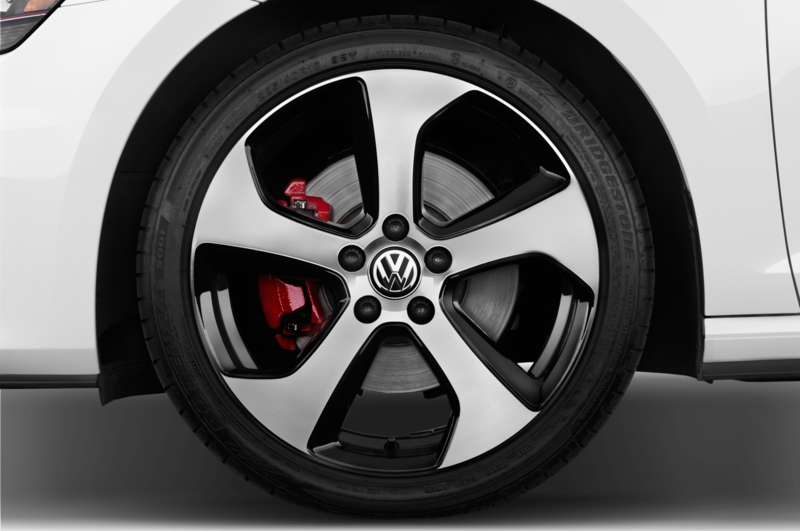 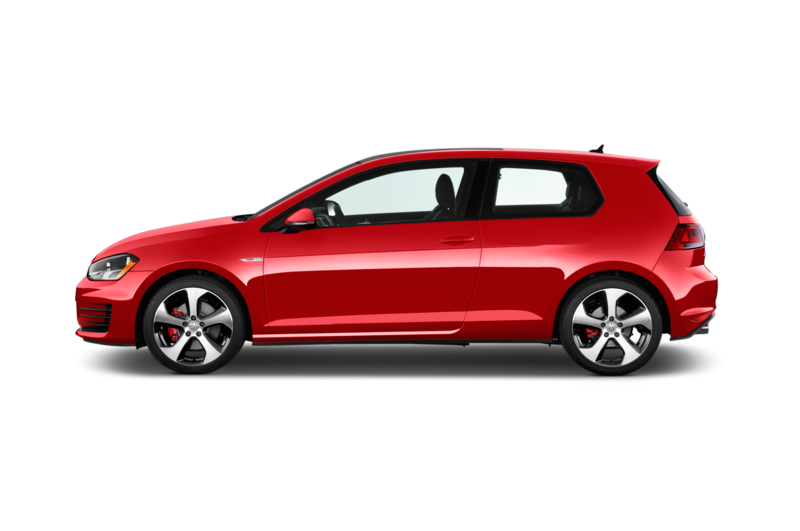 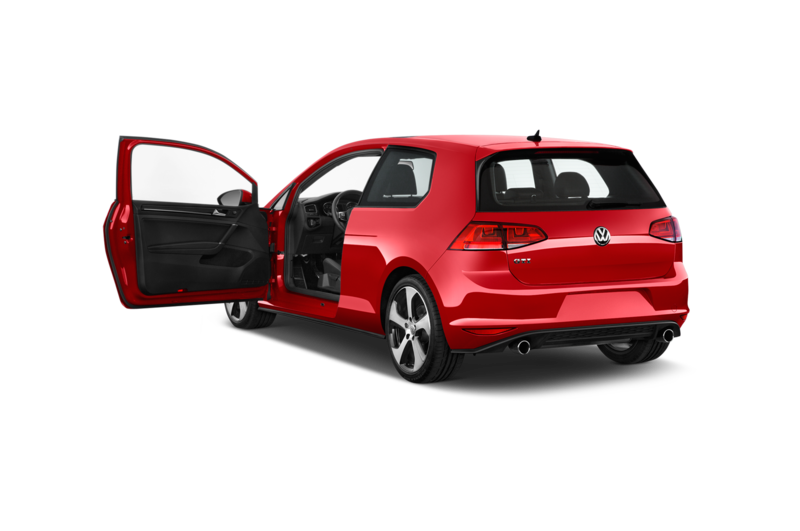 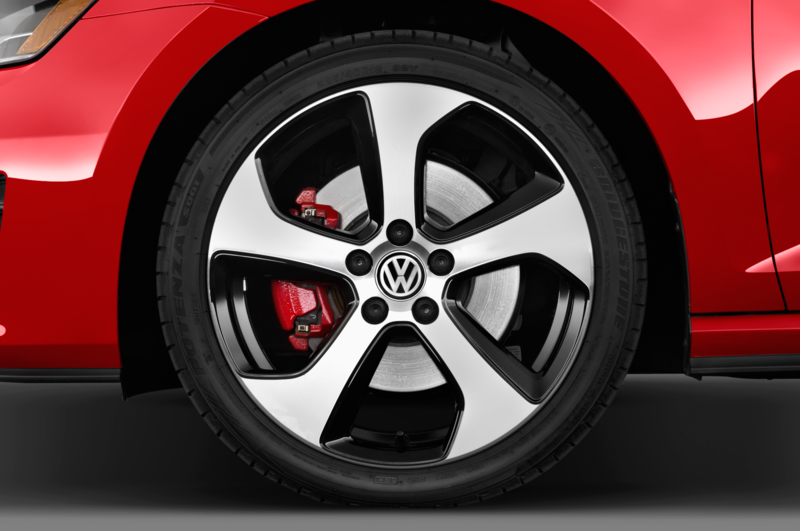 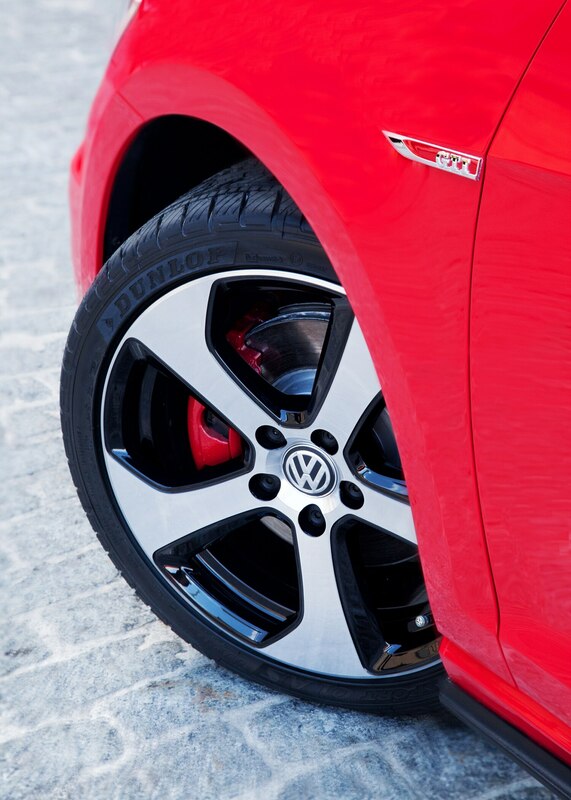 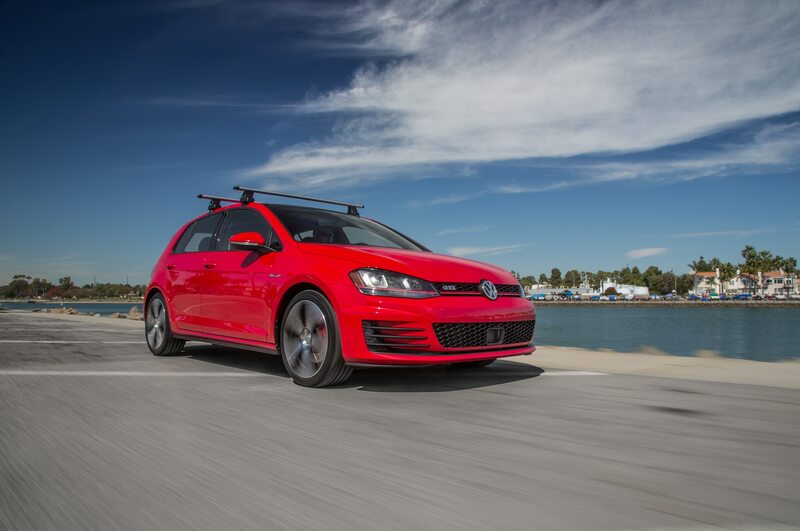 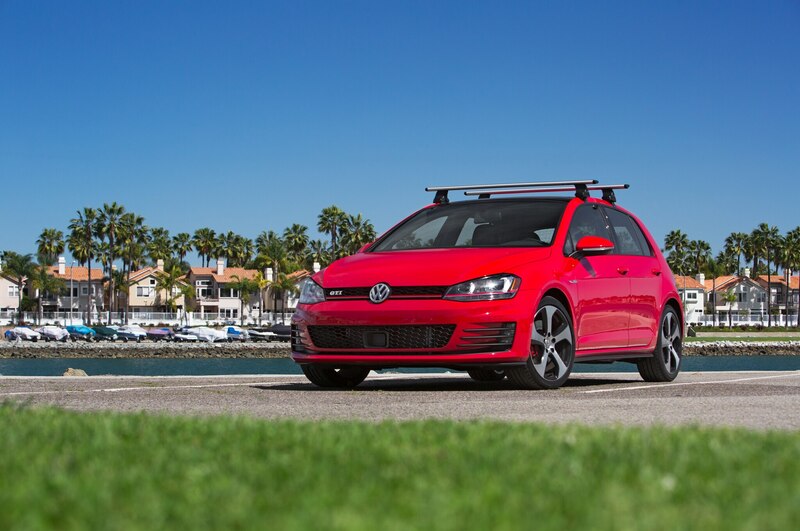 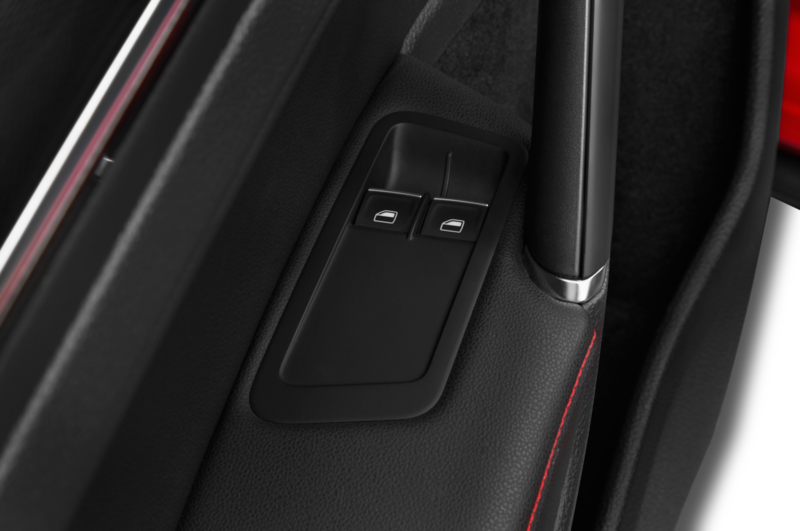 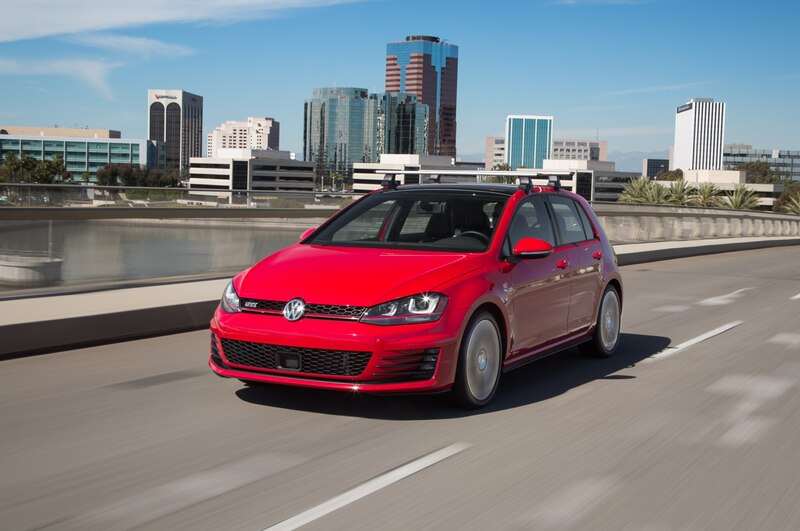 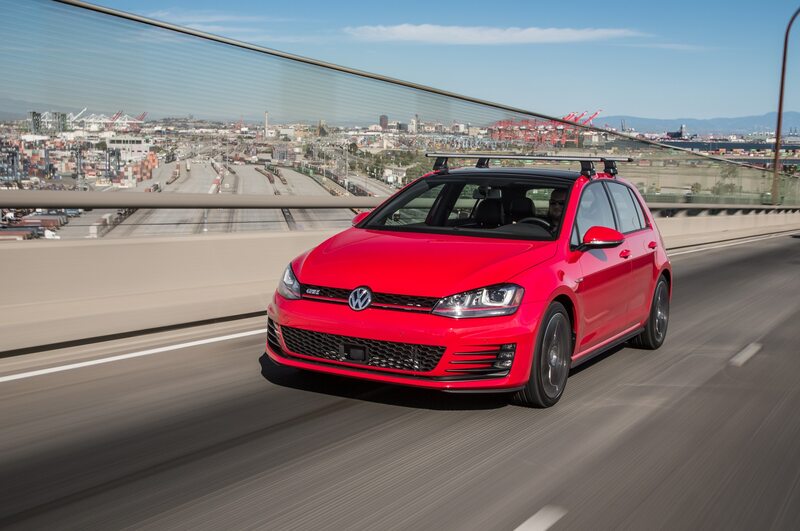 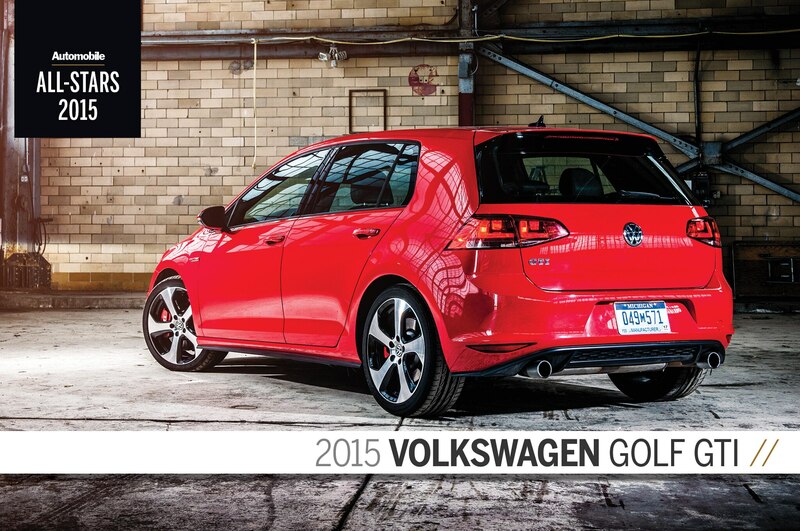 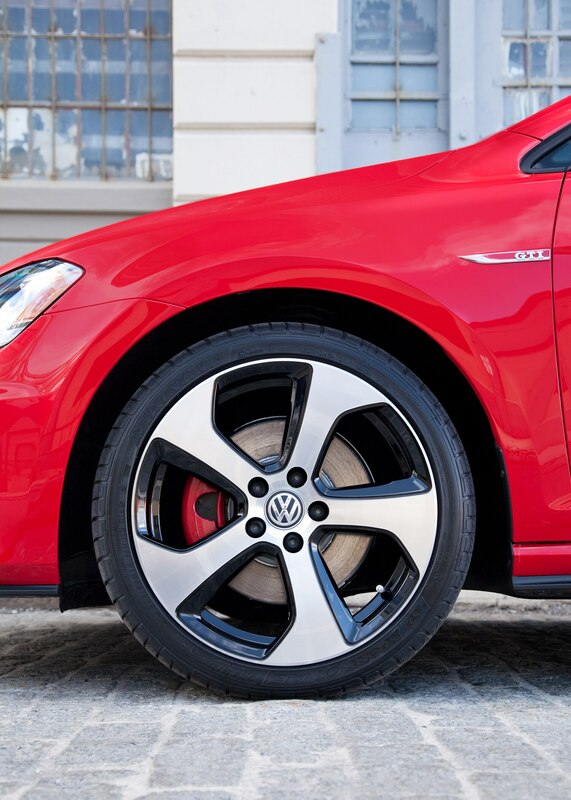 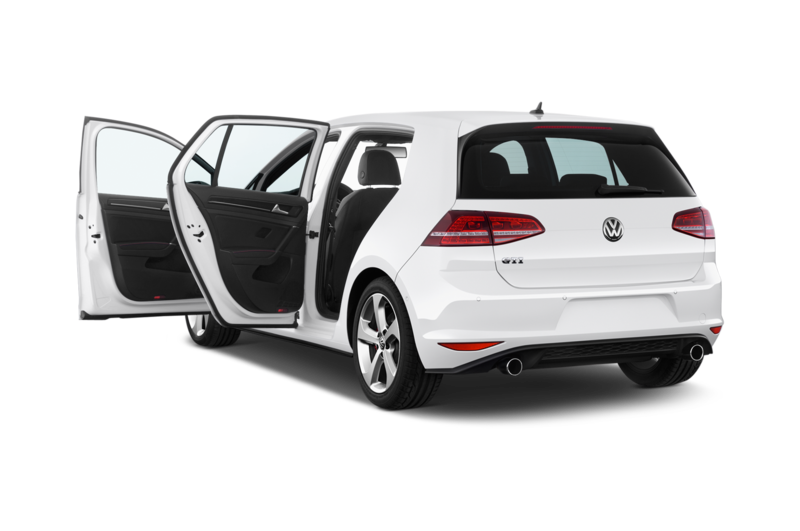 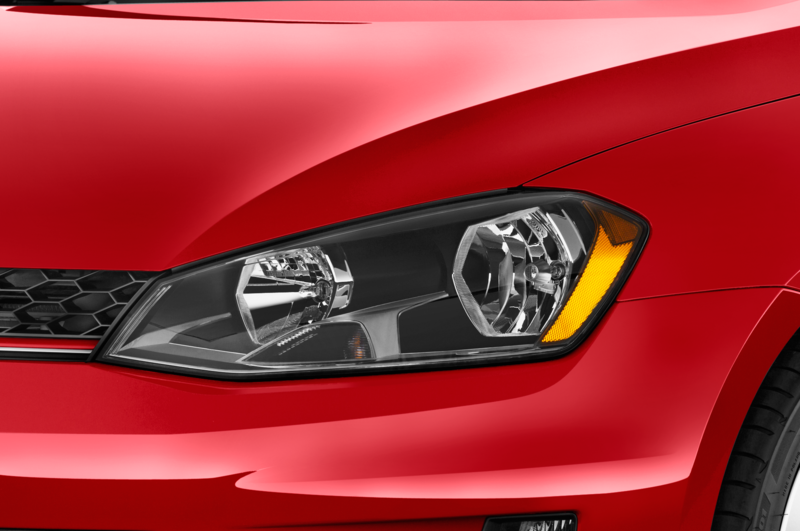 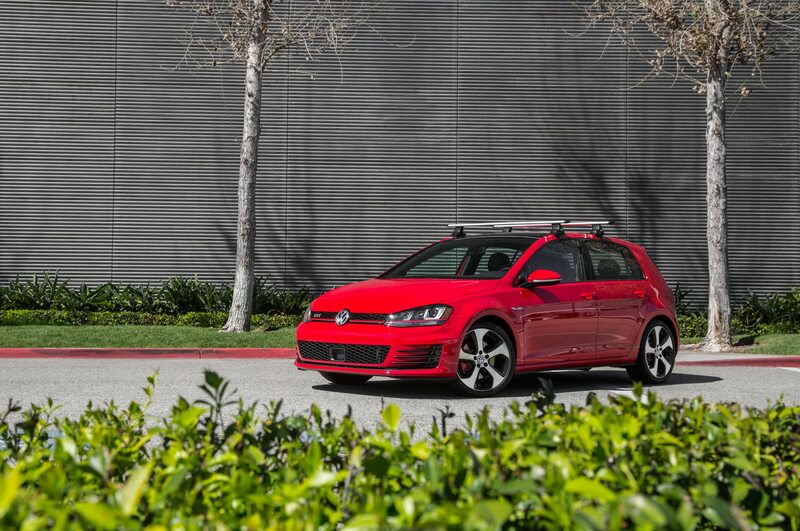 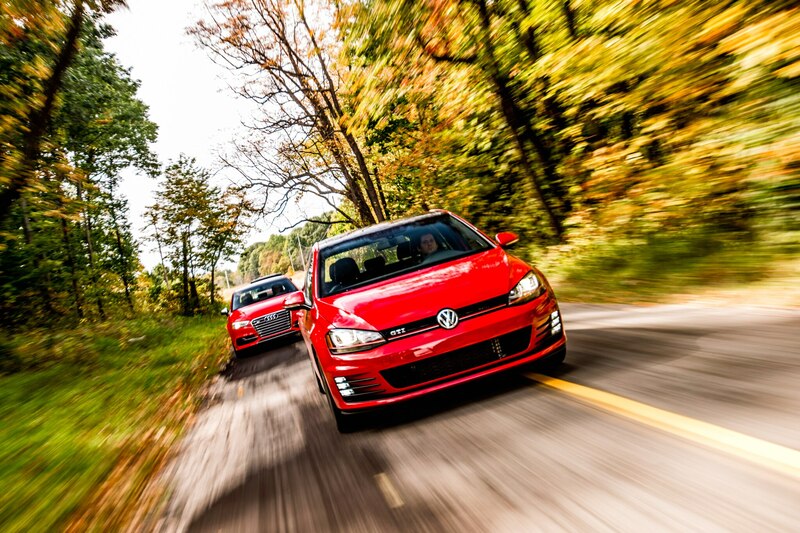 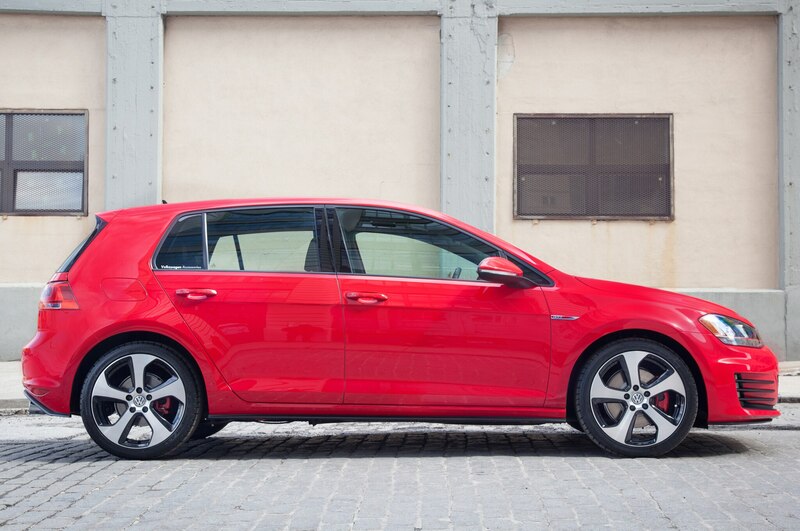 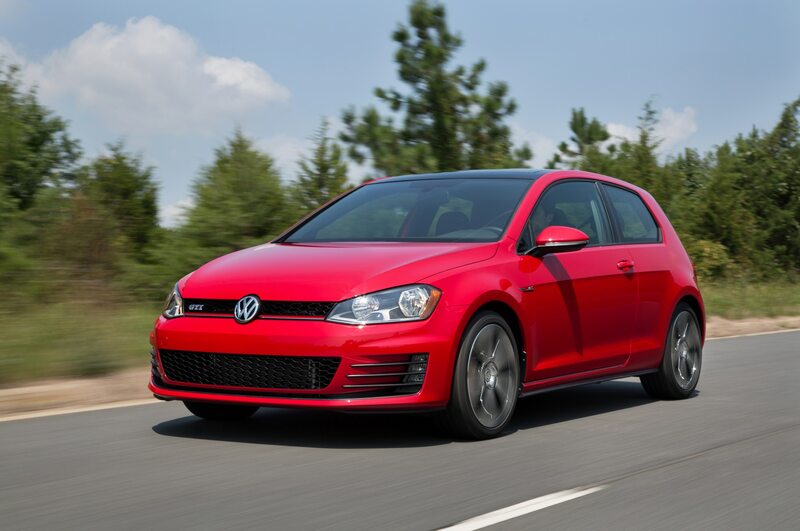 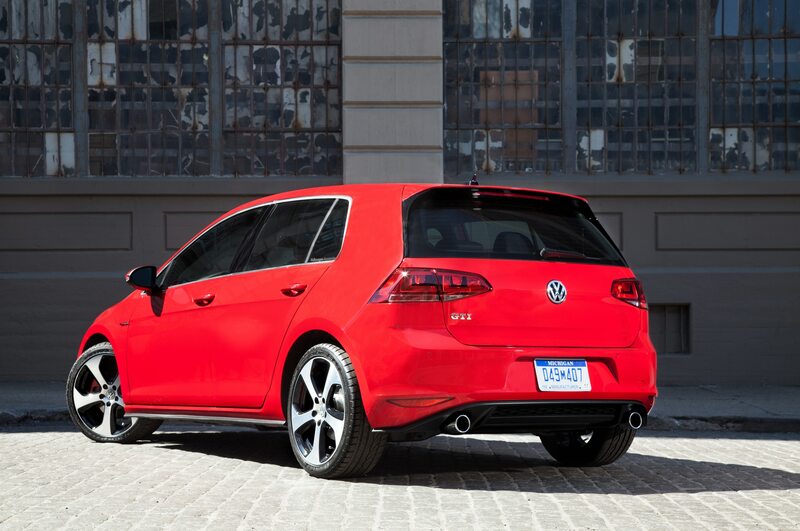 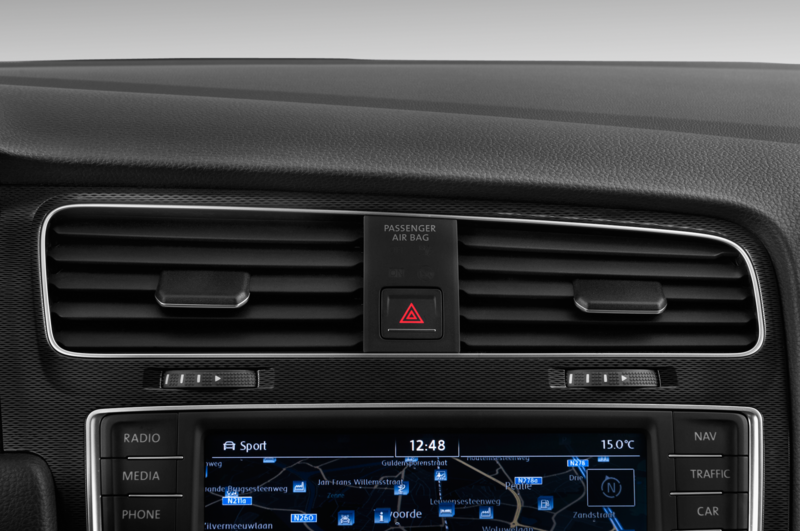 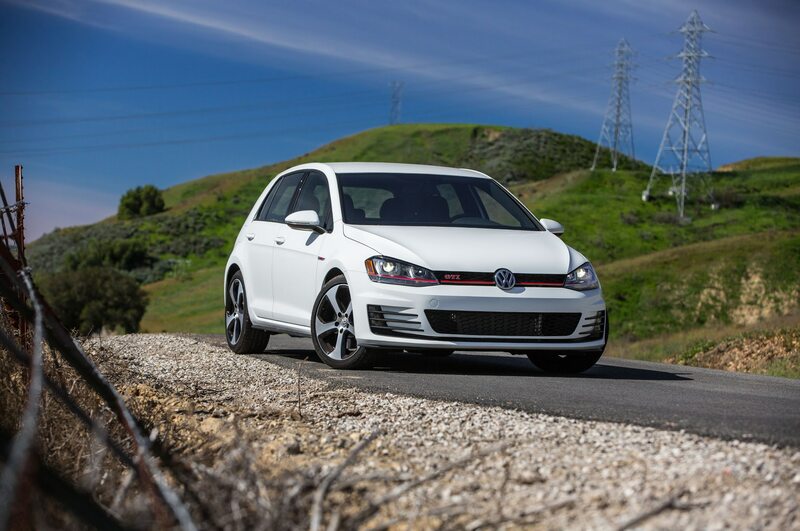 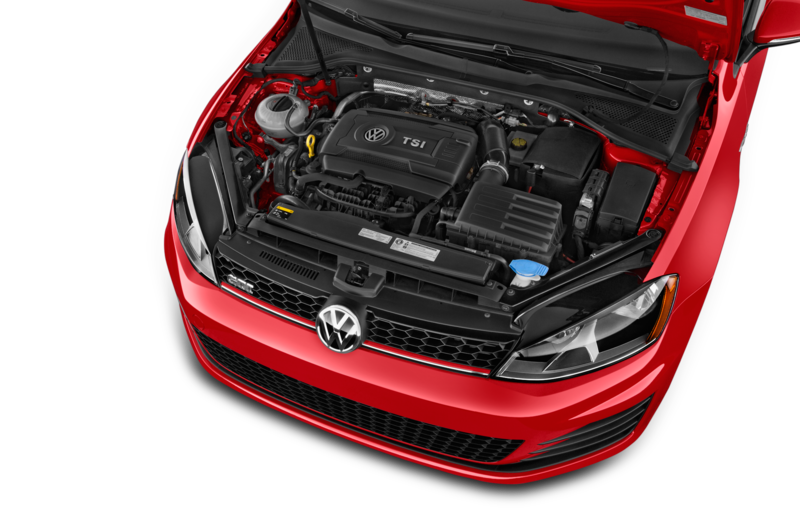 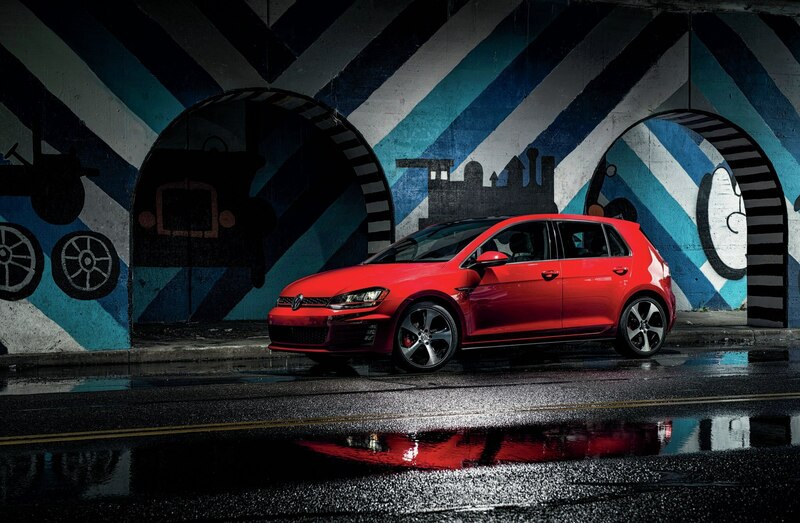 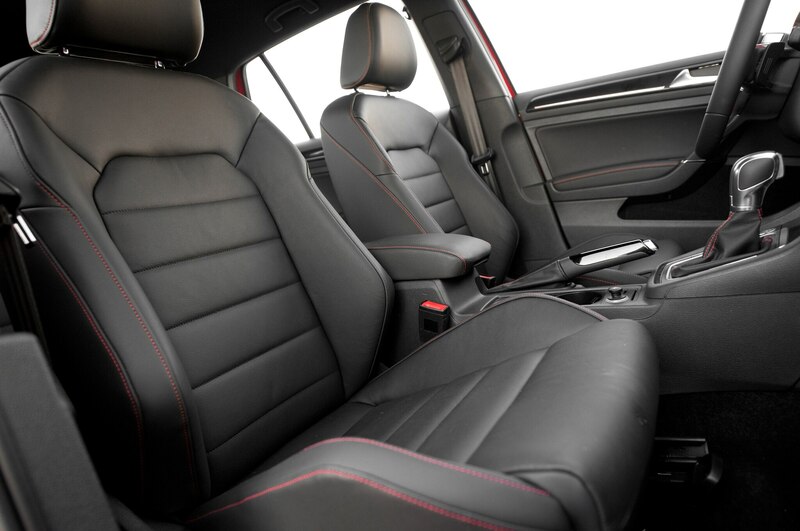 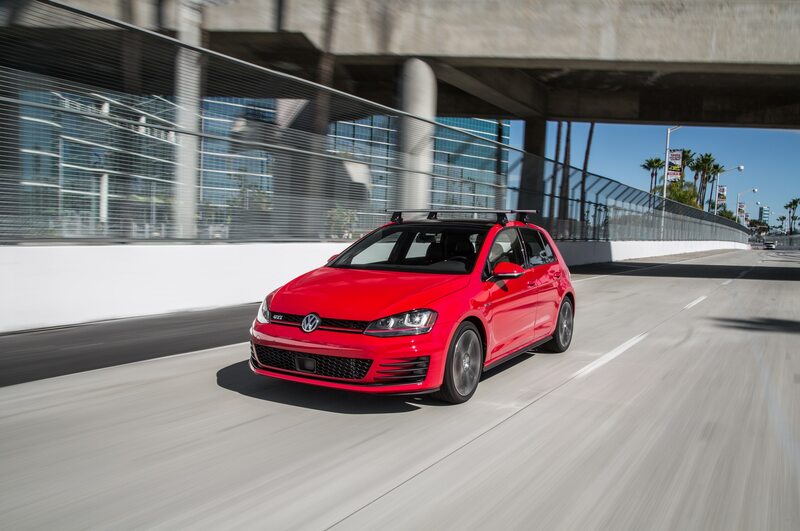 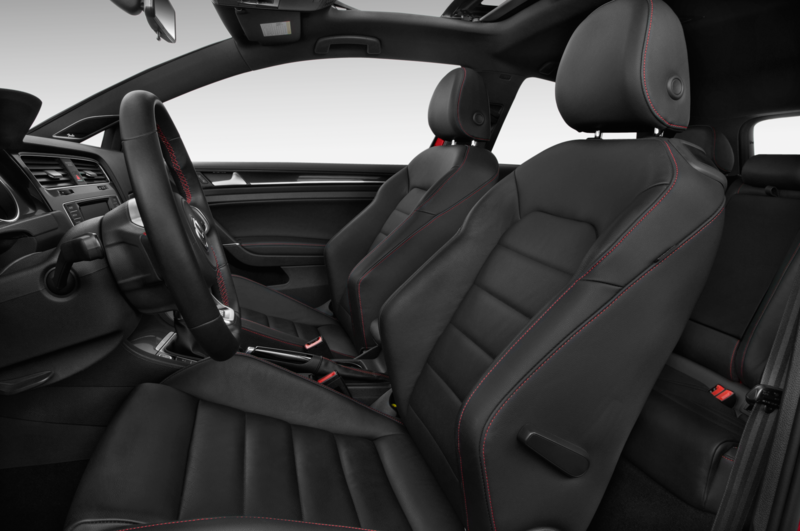 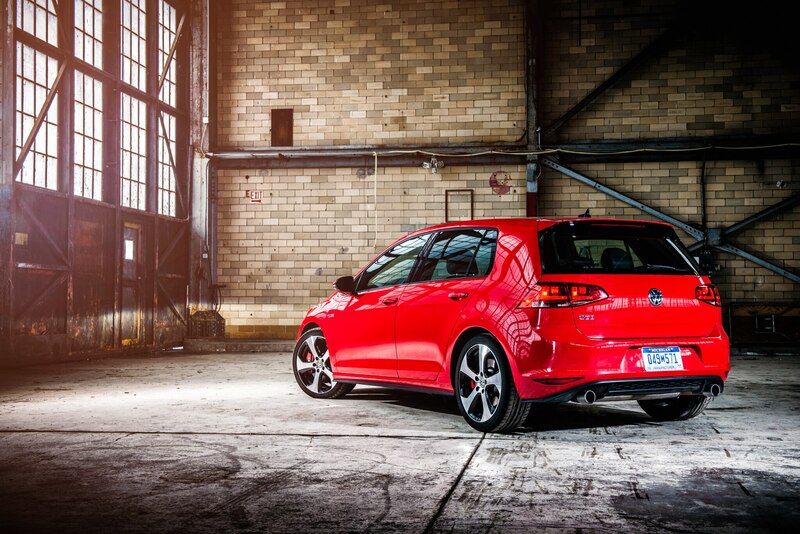 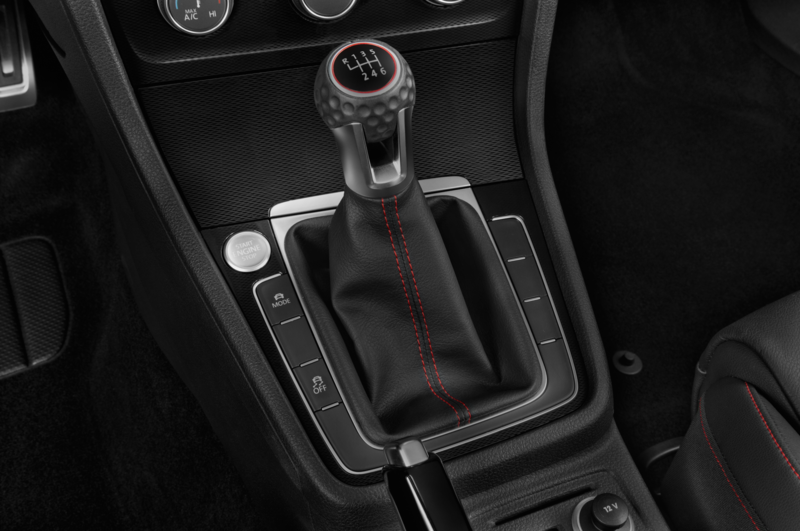 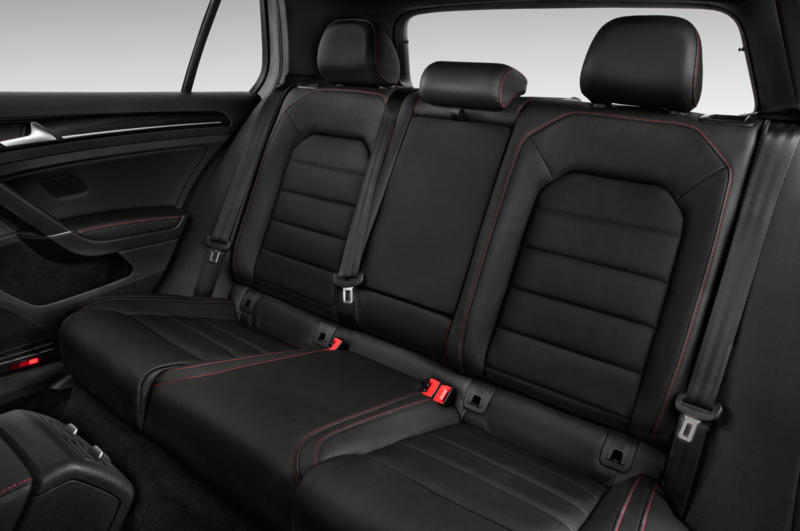 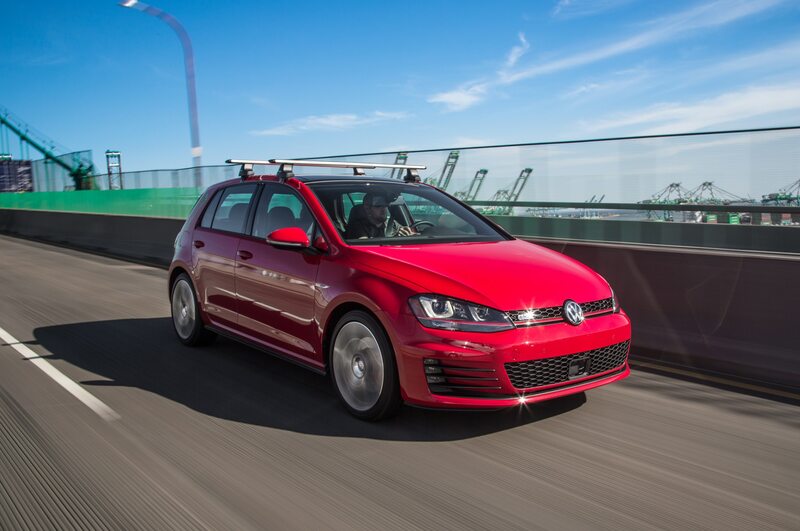 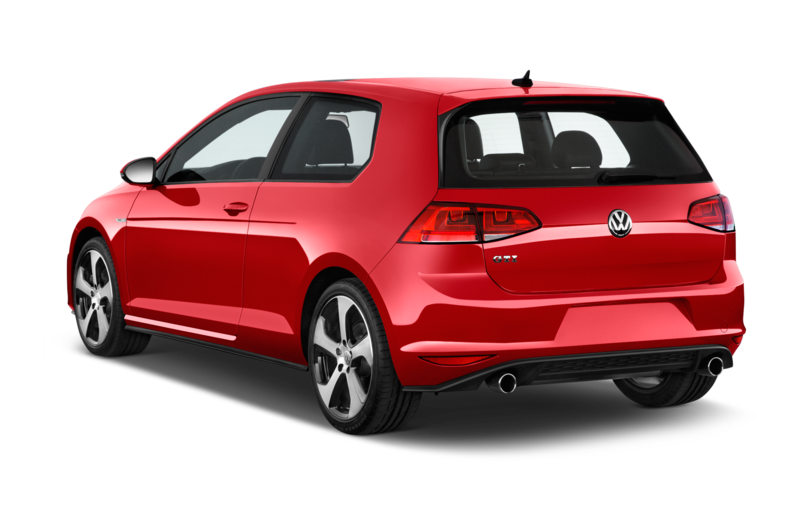 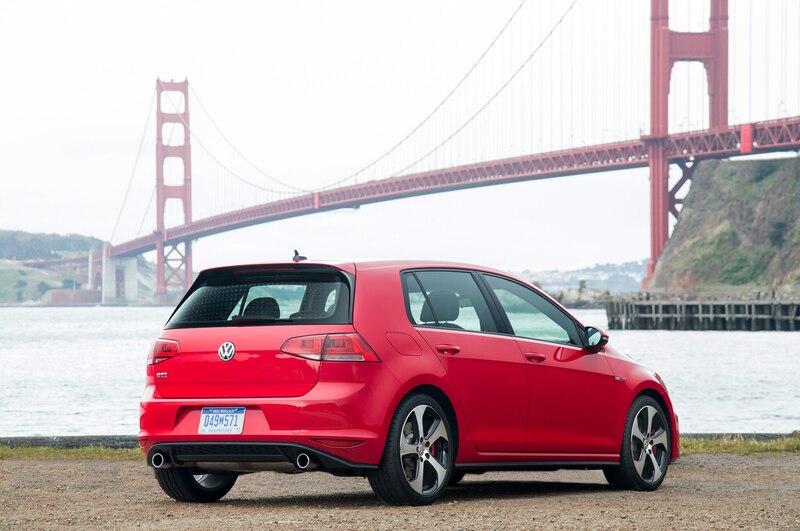 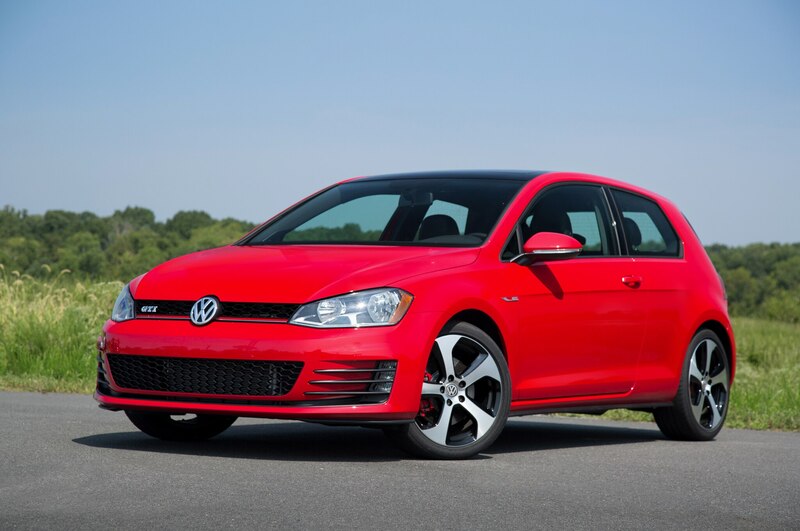 Above all, the 2015 Volkswagen Golf GTI makes us want to drive. 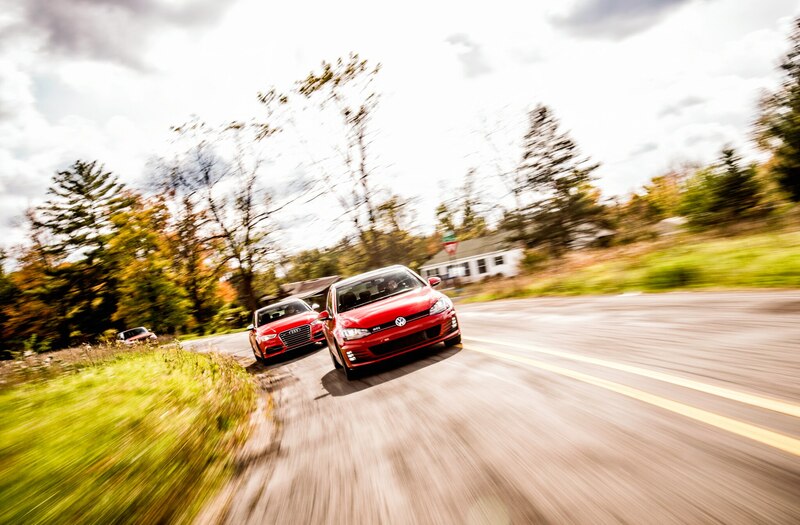 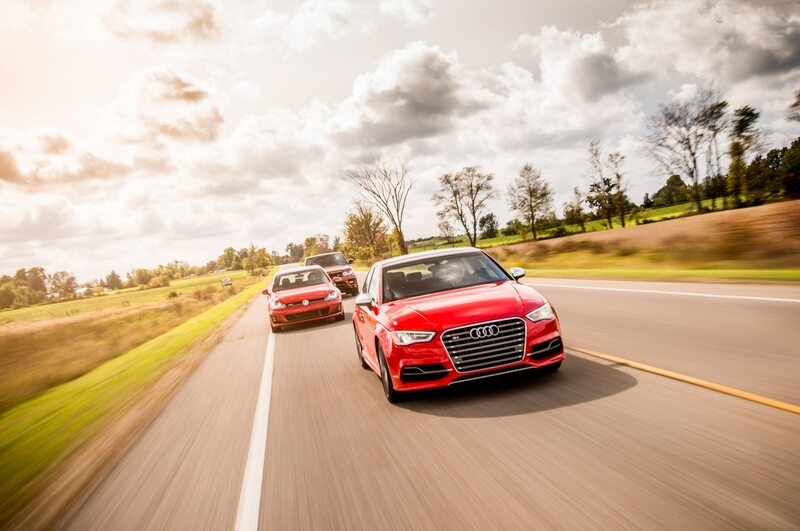 Editors returned from blasts through the Michigan countryside with Cheshire Cat grins. 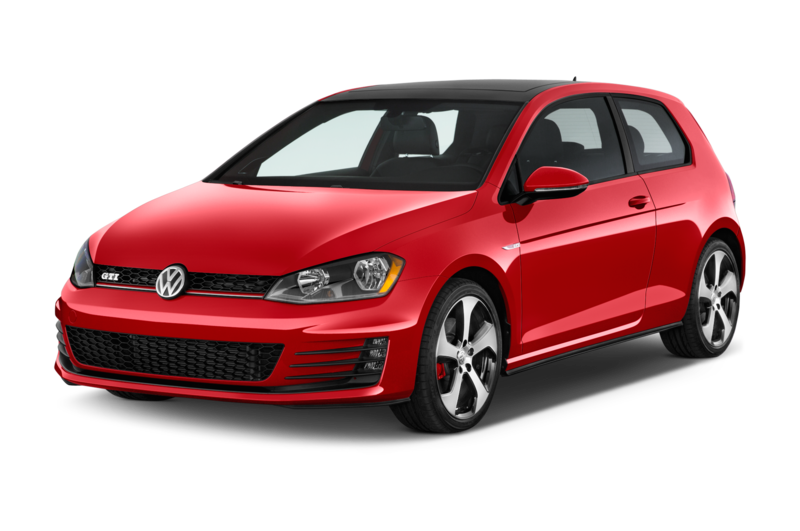 The GTI is quick and rewarding on narrow two-lane roads, with urgent acceleration from the turbo-four, eager turn-in, and a planted feel no matter how pockmarked the pavement. 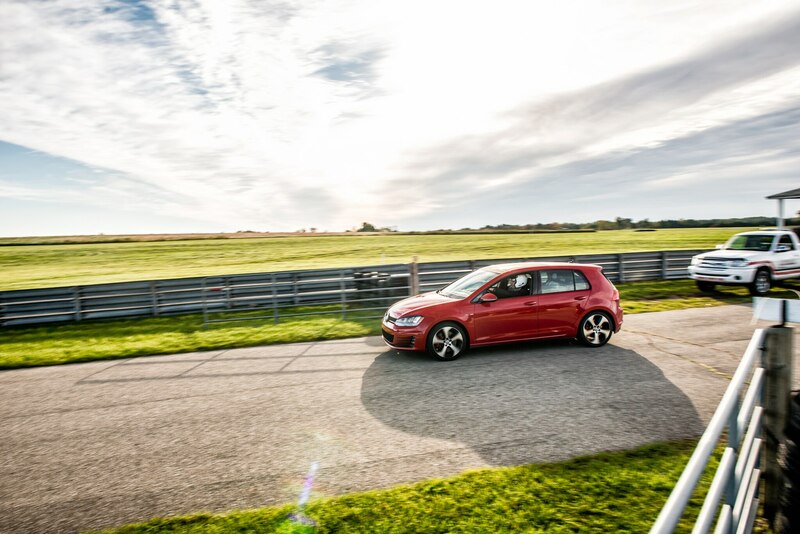 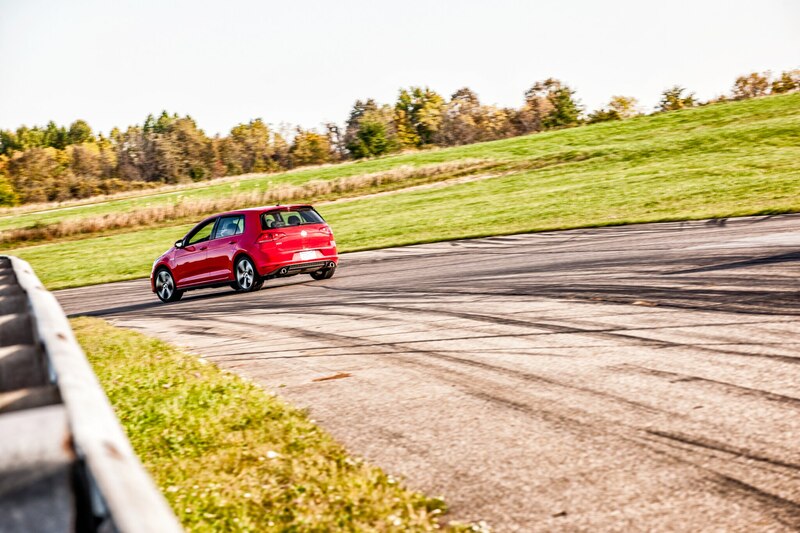 We loved it on GingerMan Raceway, too, with drivers lauding the GTI’s lack of torque steer, its superb balance in corners, and brakes that refuse to overheat despite continued hard lapping. 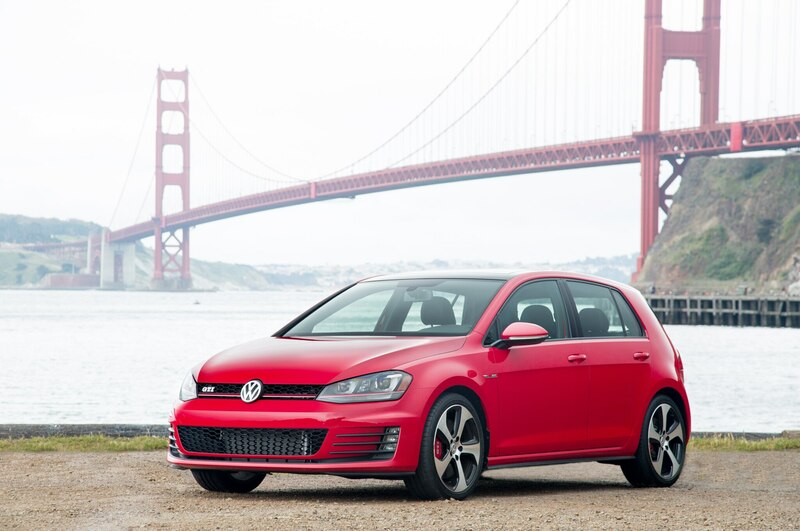 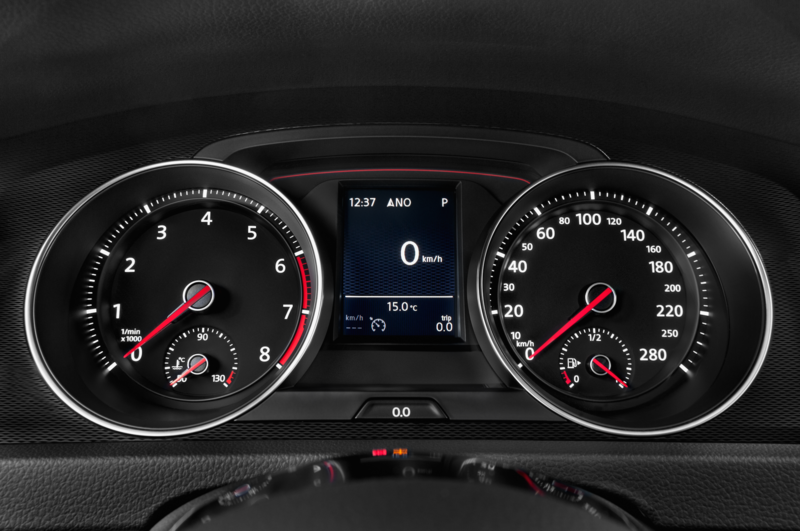 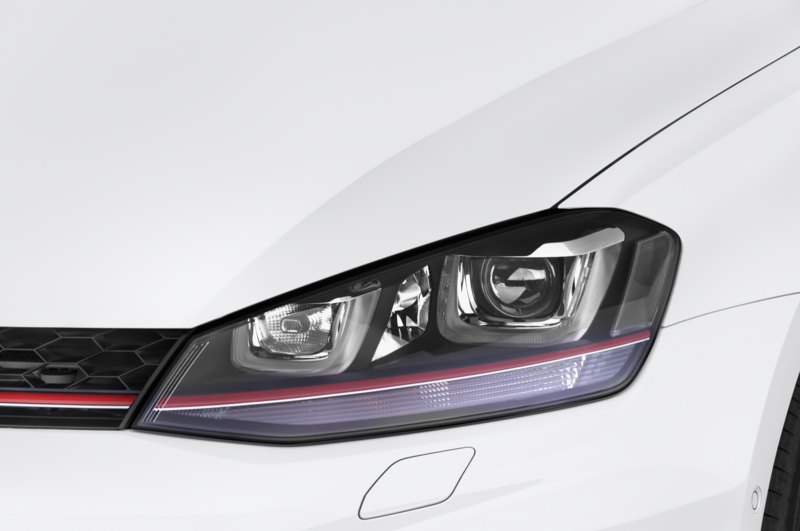 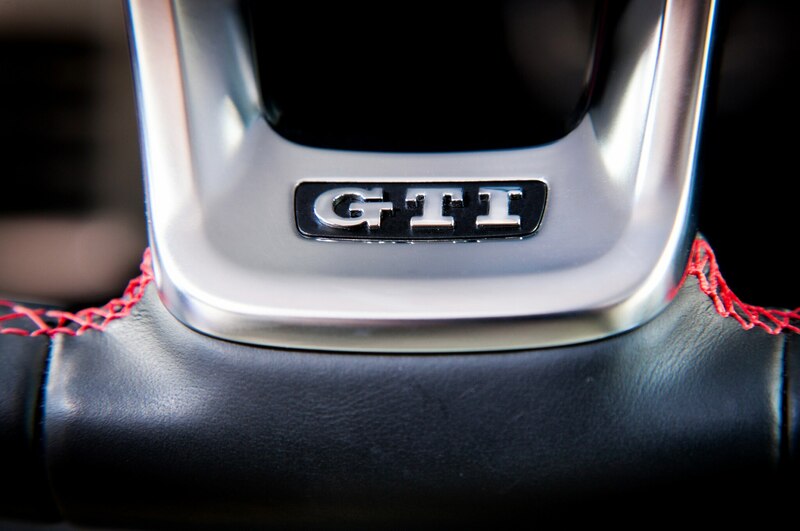 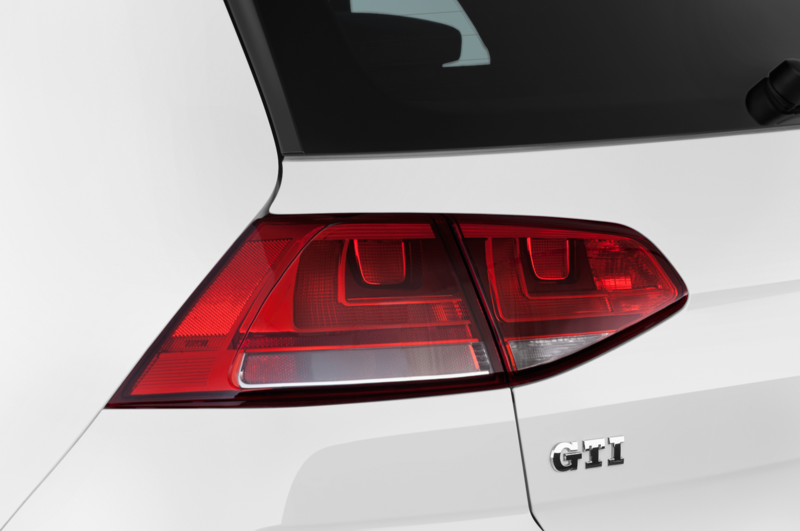 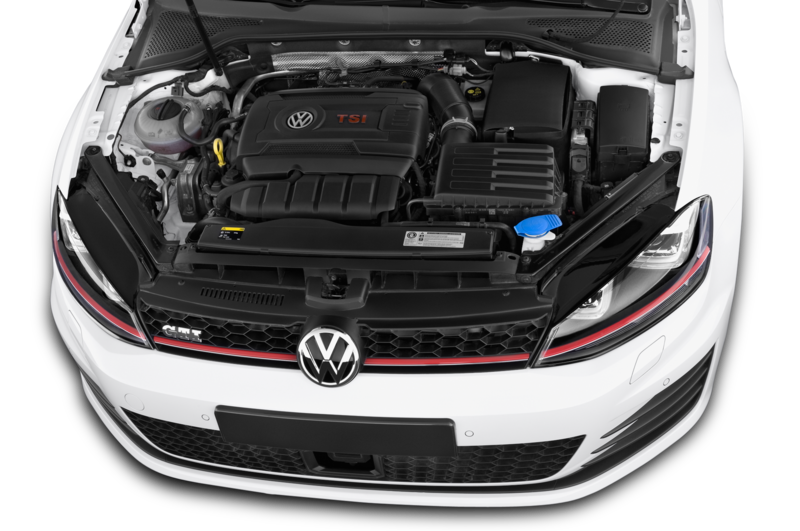 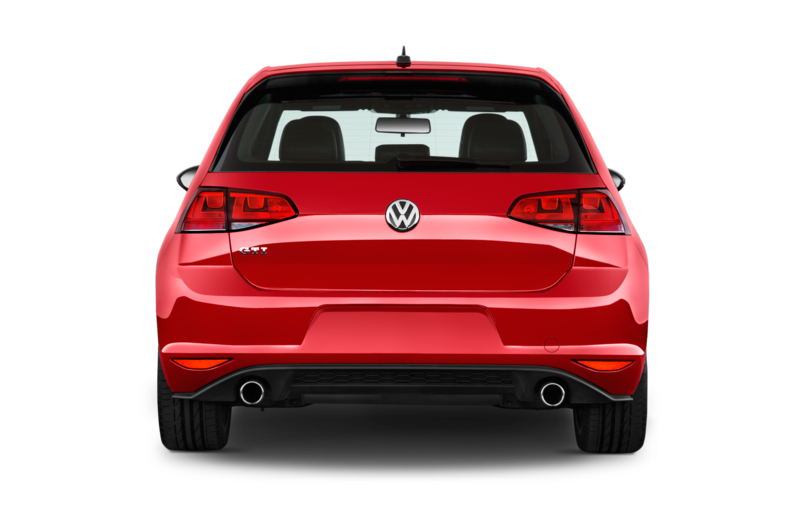 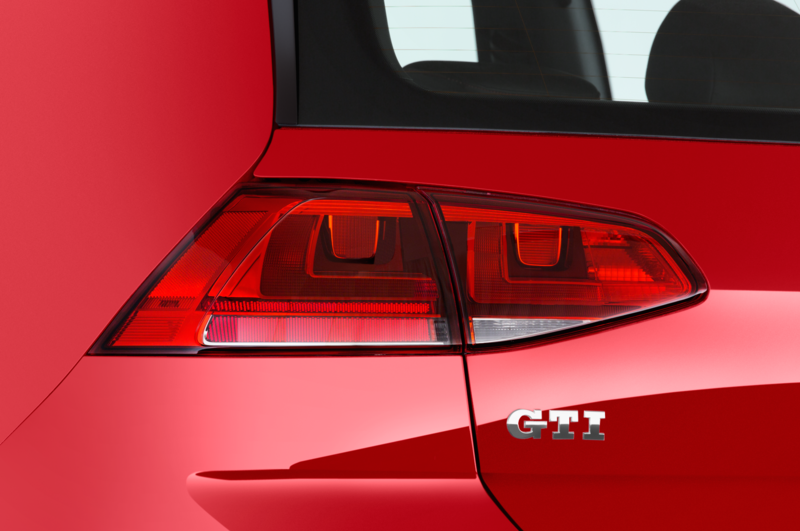 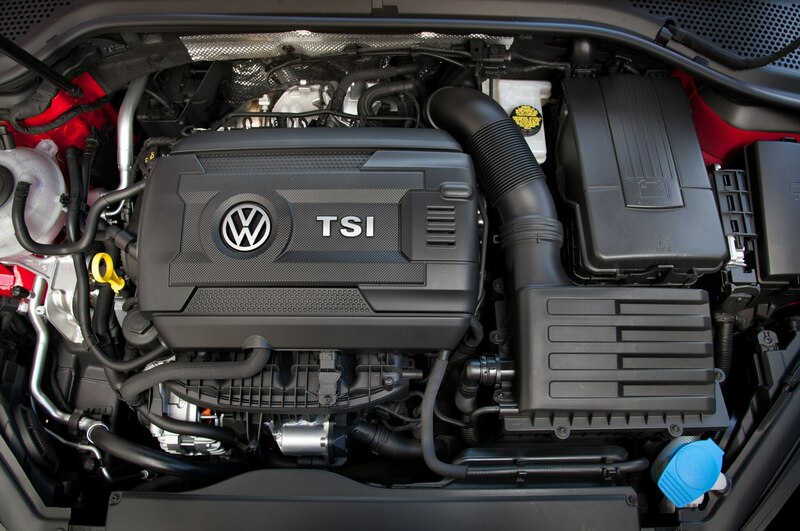 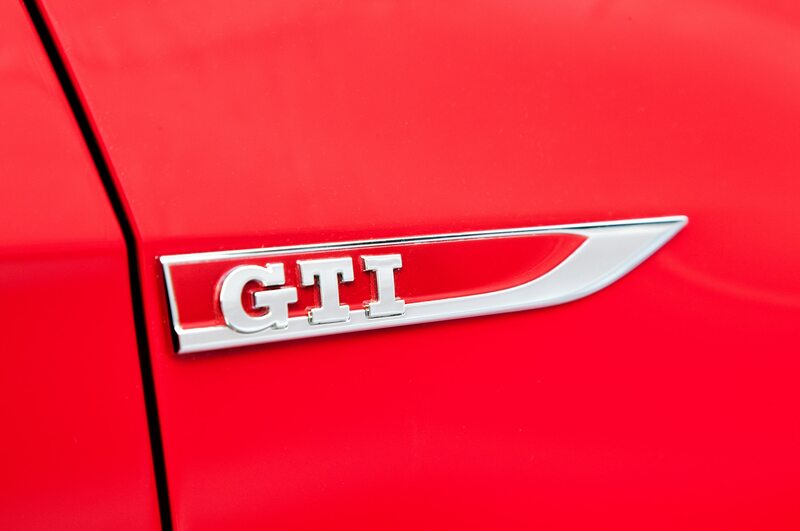 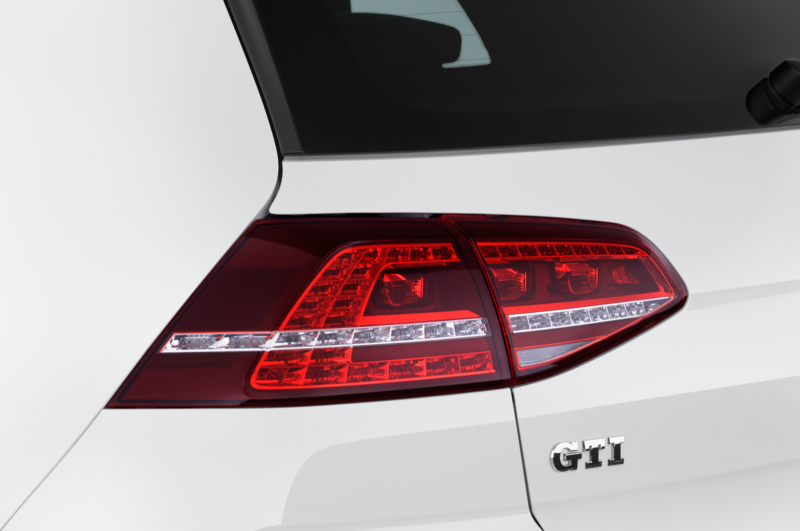 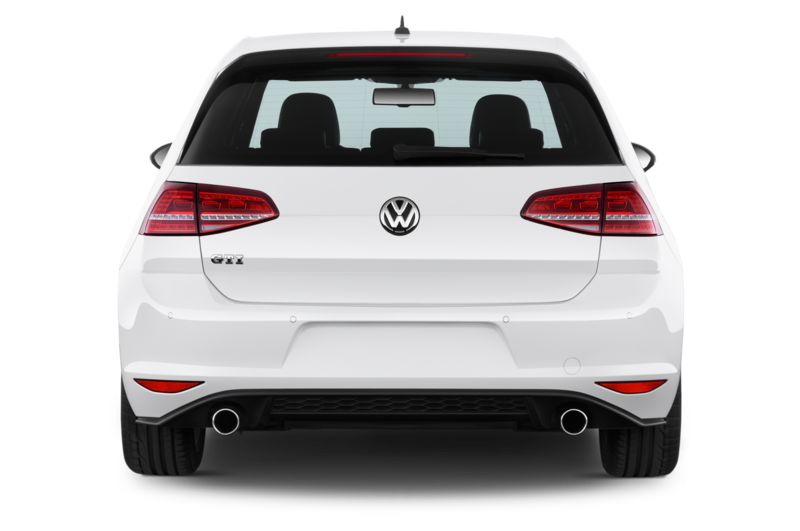 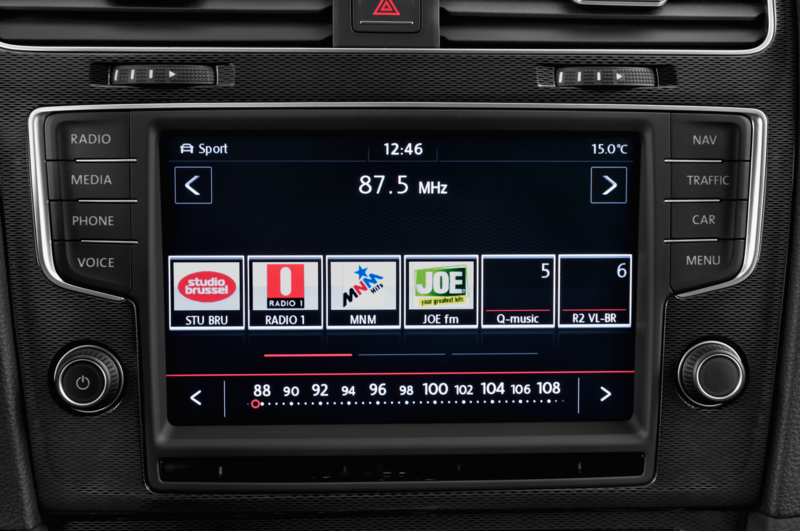 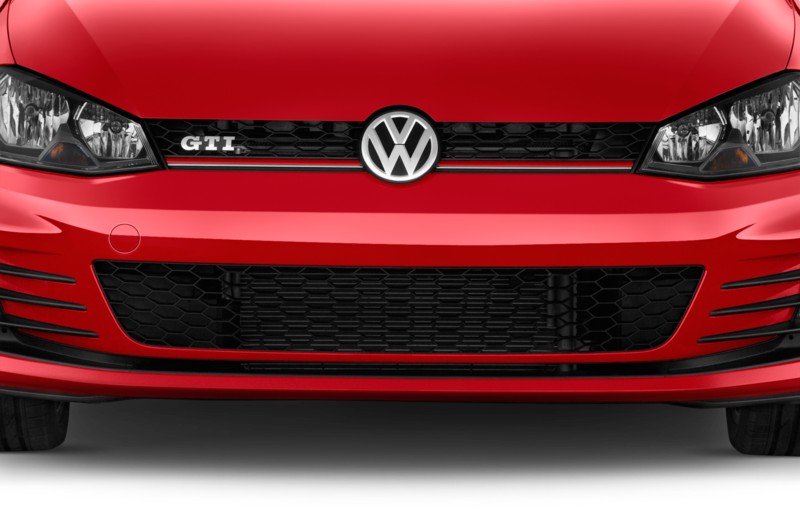 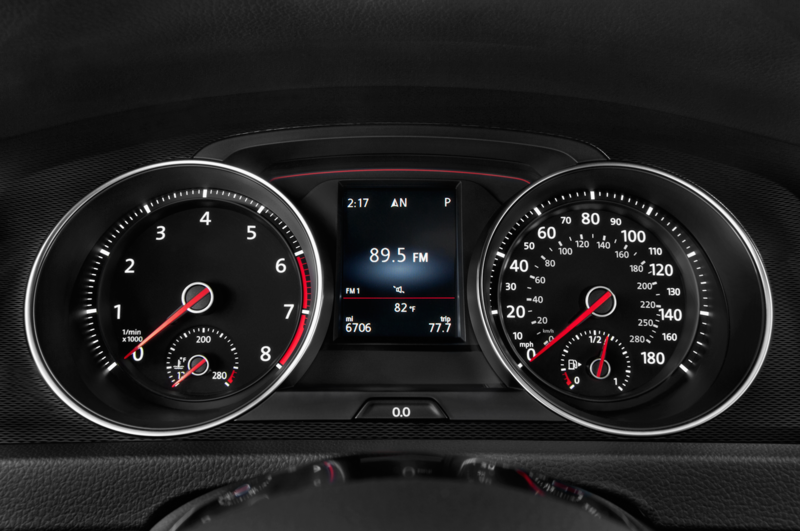 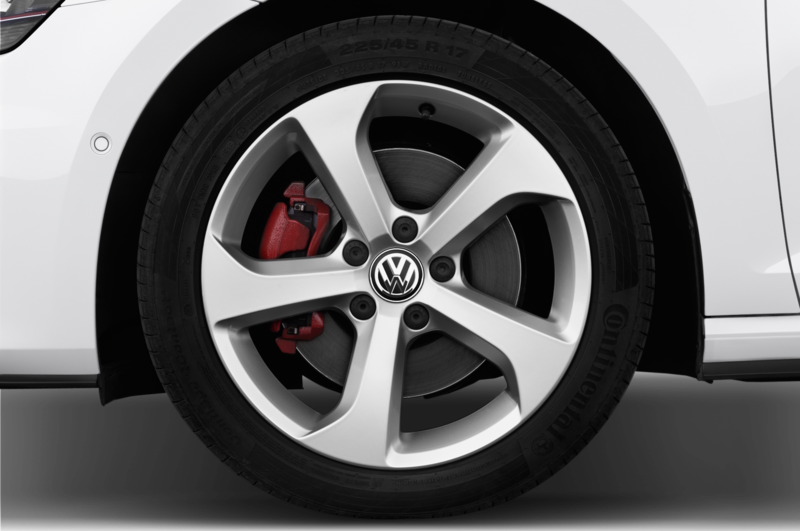 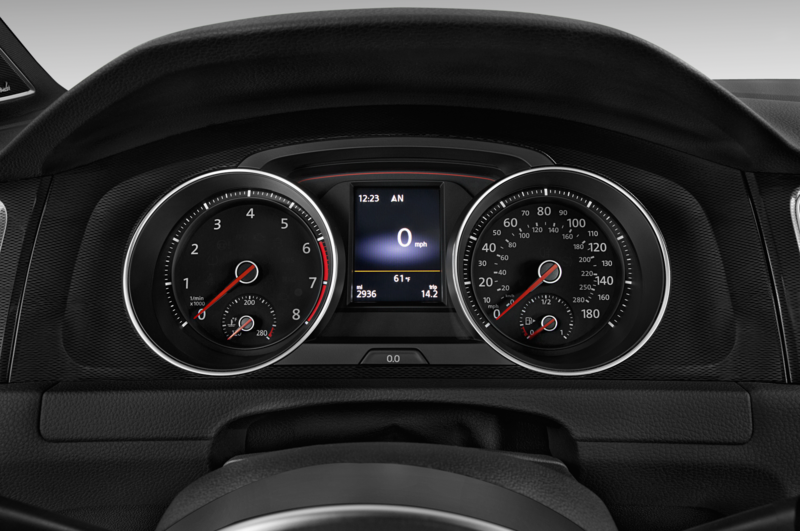 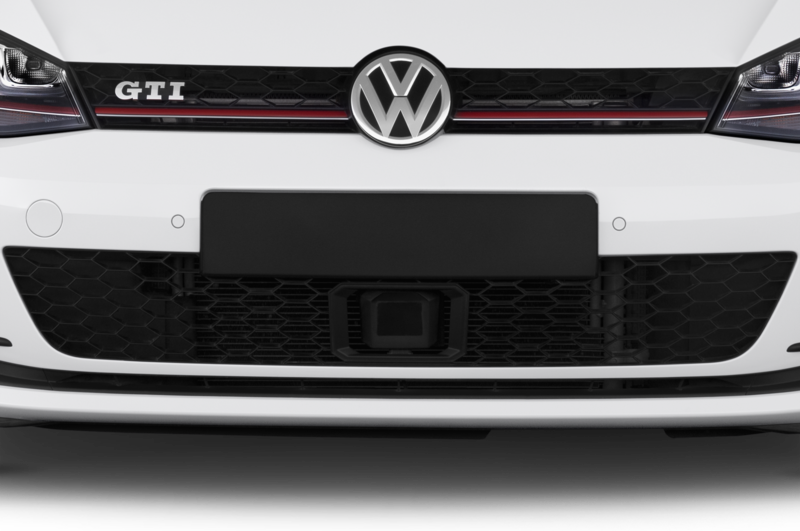 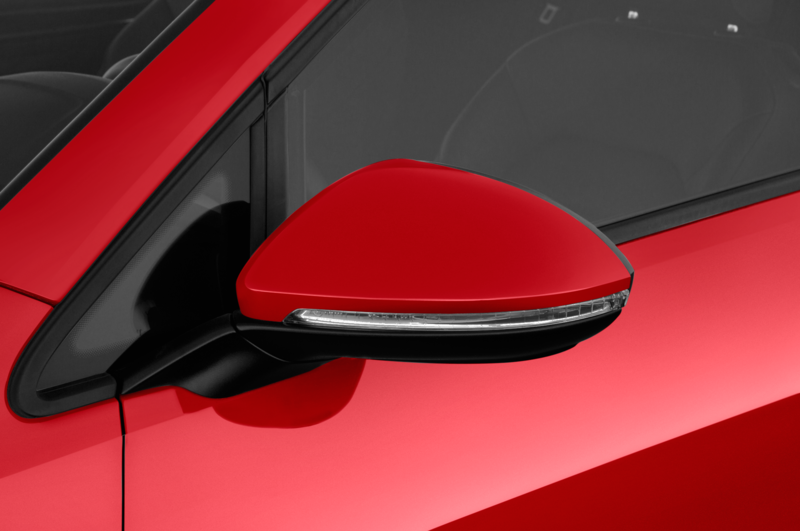 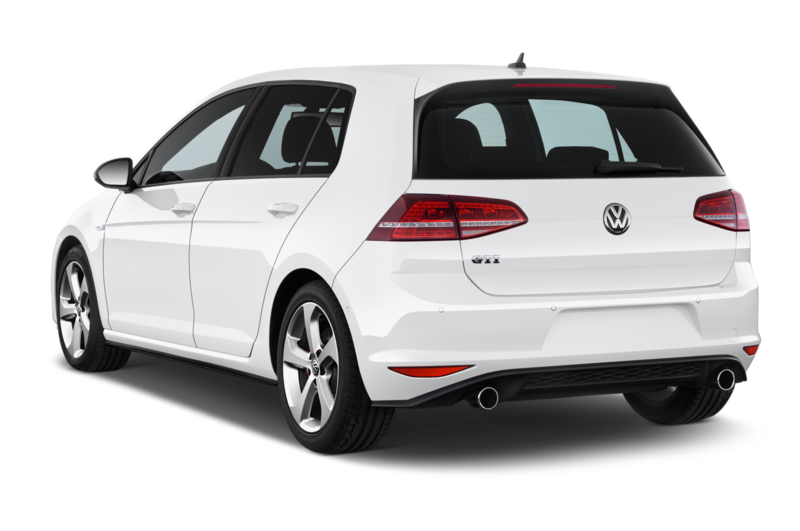 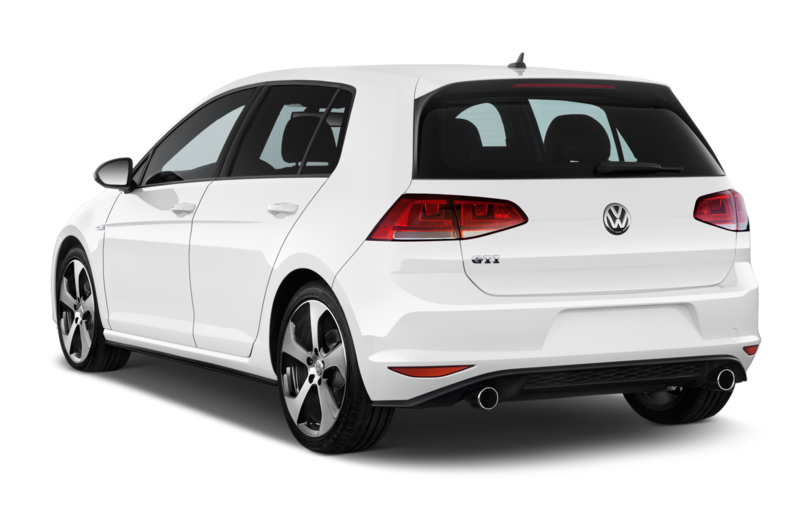 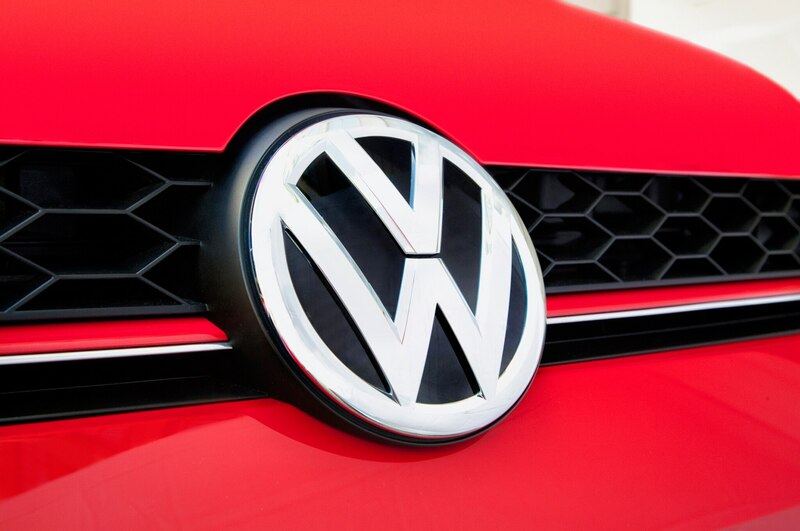 In launching the seventh iteration of a venerated nameplate, Volkswagen has improved and changed the GTI in nearly every respect, yet kept the basic tenets that have made it a hit for 40 years. 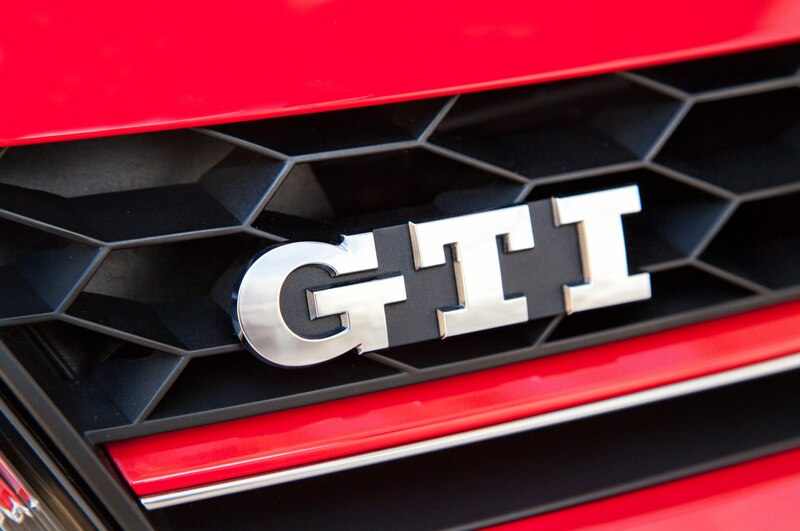 For the price of a Honda Accord, the GTI marries high-quality finishes, performance driving thrills, and the sensibility of a small hatchback. 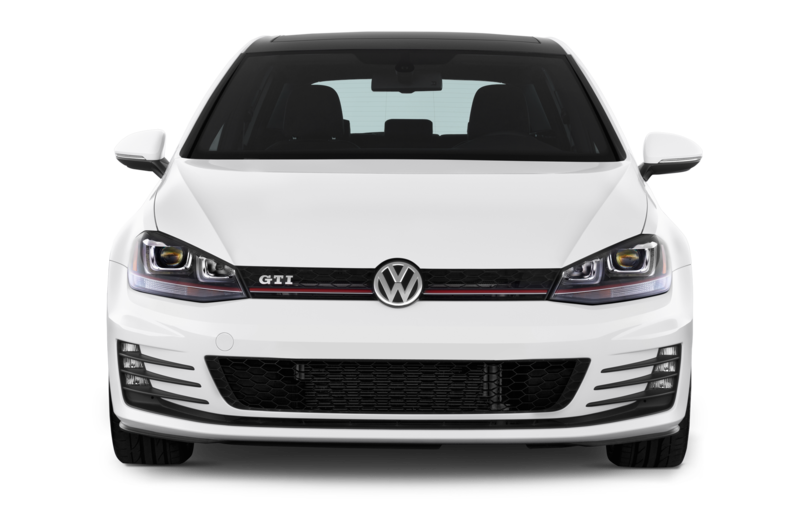 Not only is the 2015 Volkswagen Golf GTI one of the nicest, best-driving cars in its price range, it also strikes us as one of the few attainable performance cars we’d actually want to live with. 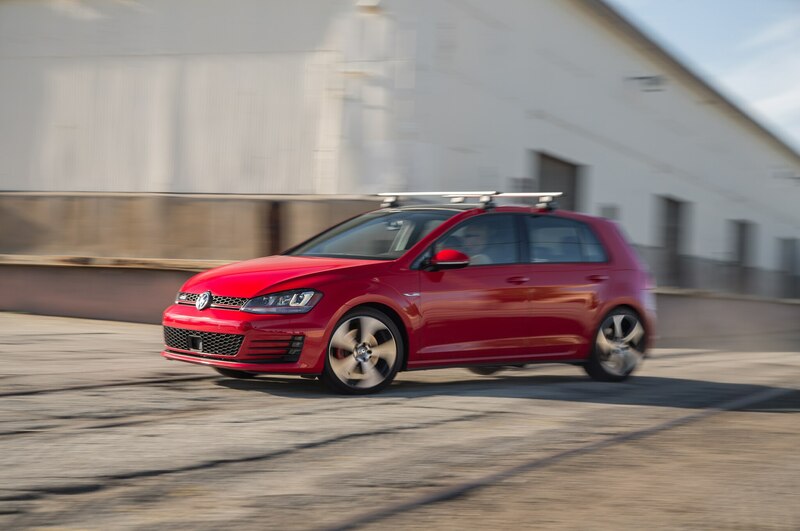 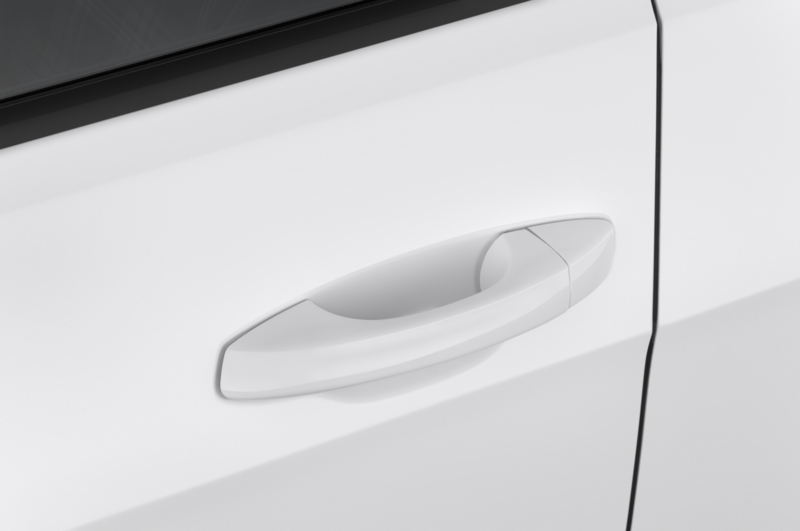 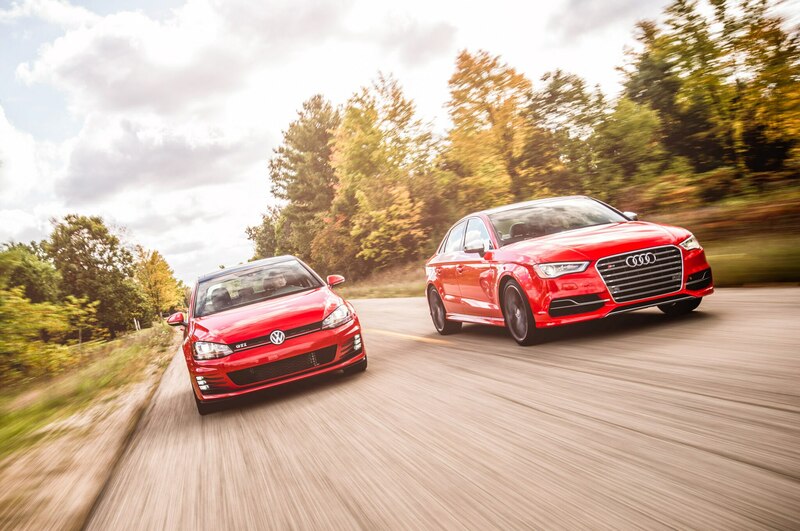 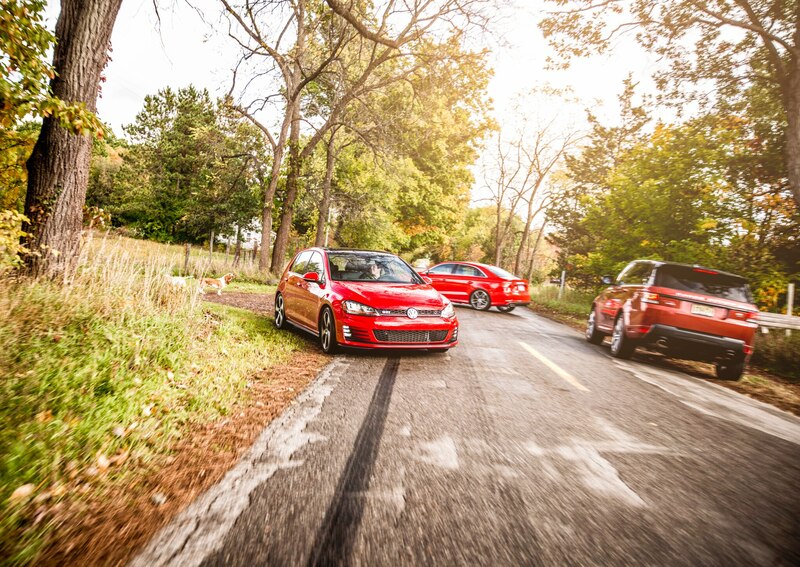 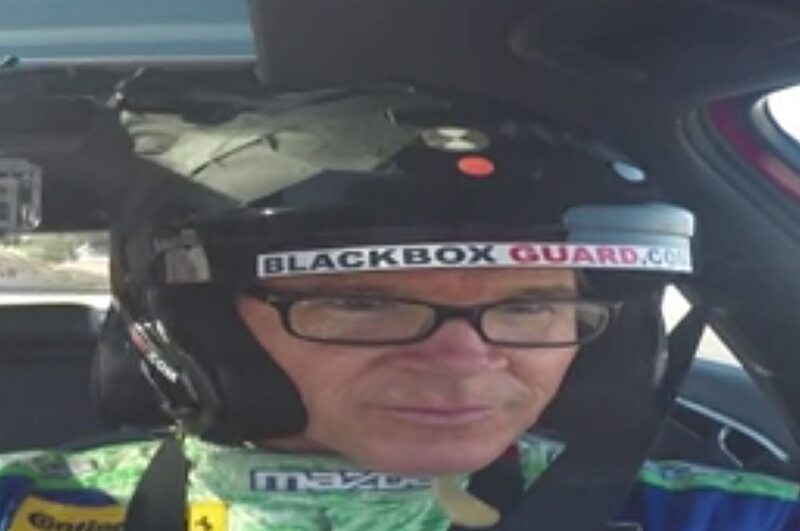 “The GTI doesn’t quite match the excitement level of a Ford Focus ST or Fiesta ST, both of which are previous All-Star winners,” contributor Marc Noordeloos noted. 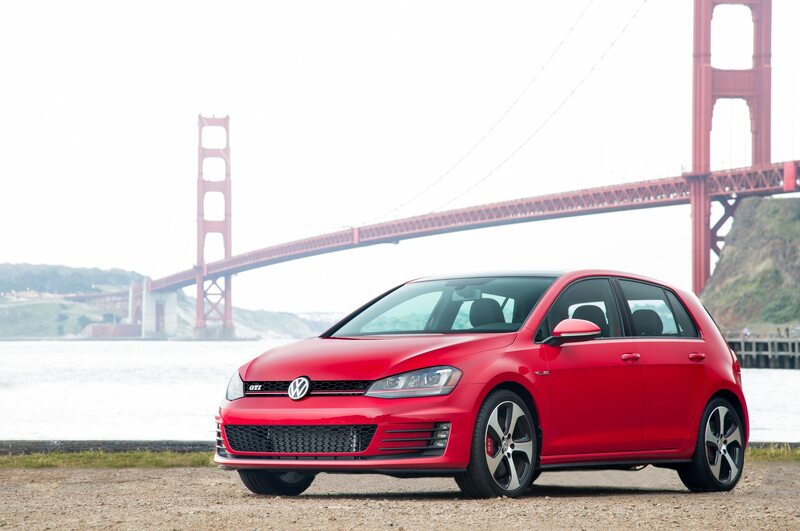 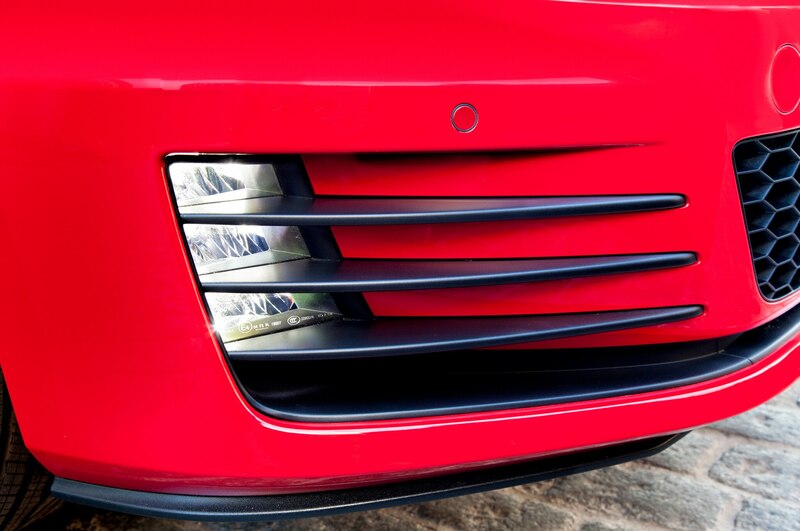 If you have to buy just one car, put this one high on your shopping list. 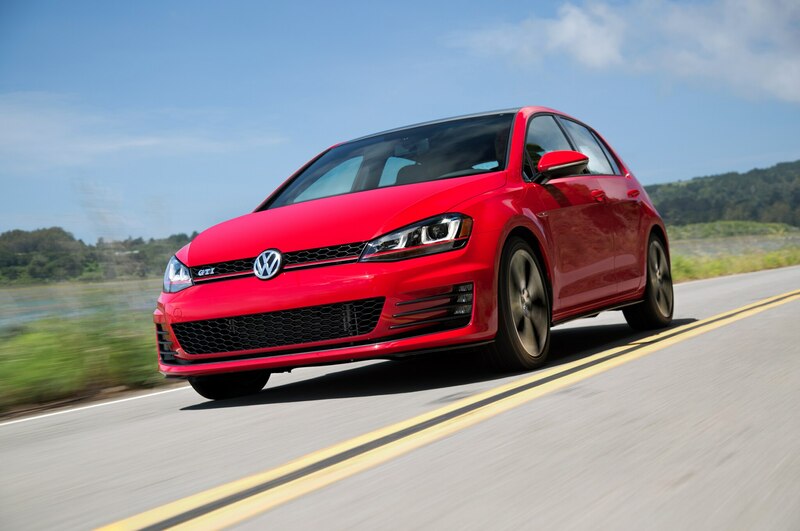 The 2015 Volkswagen Golf GTI doesn’t do anything the old models didn’t, but it does everything they did a little bit better.